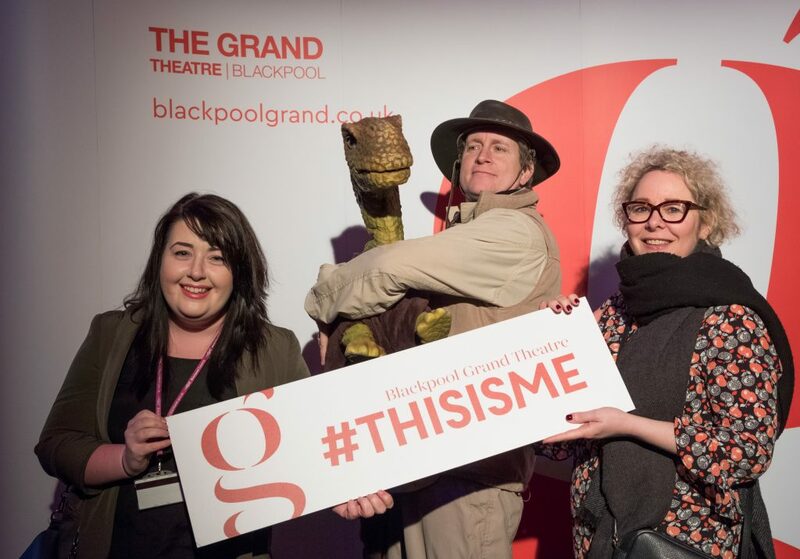 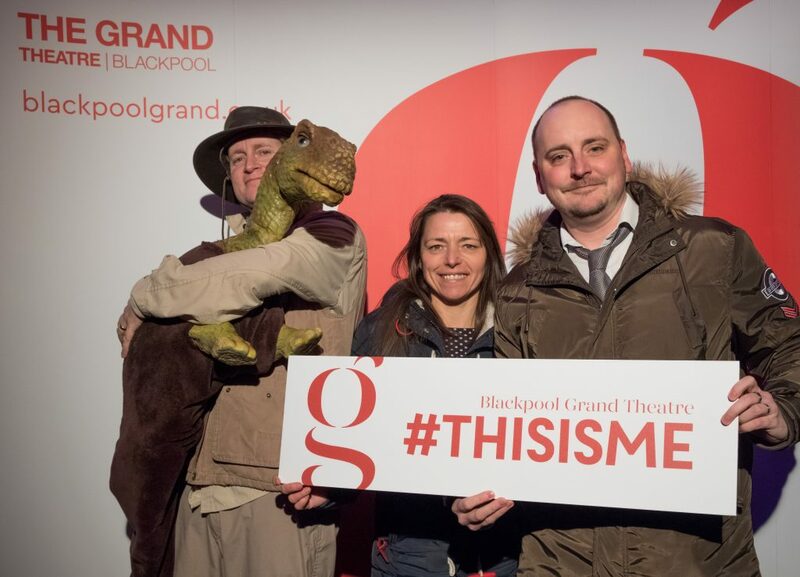 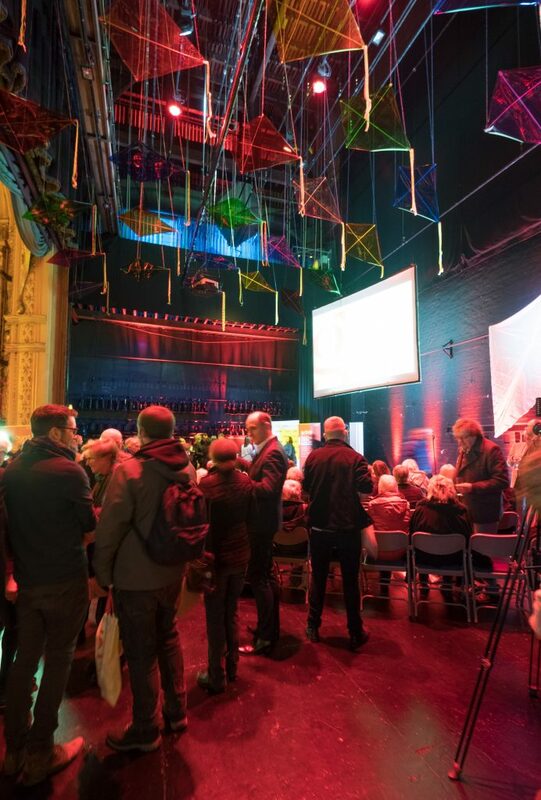 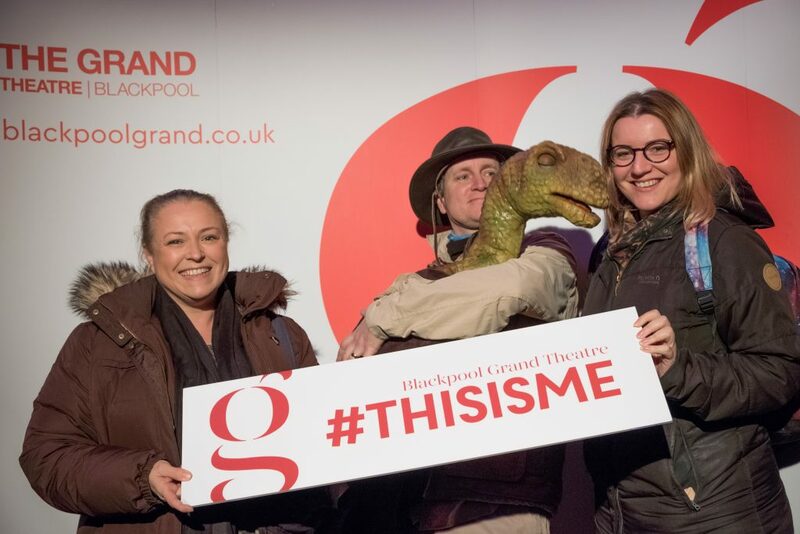 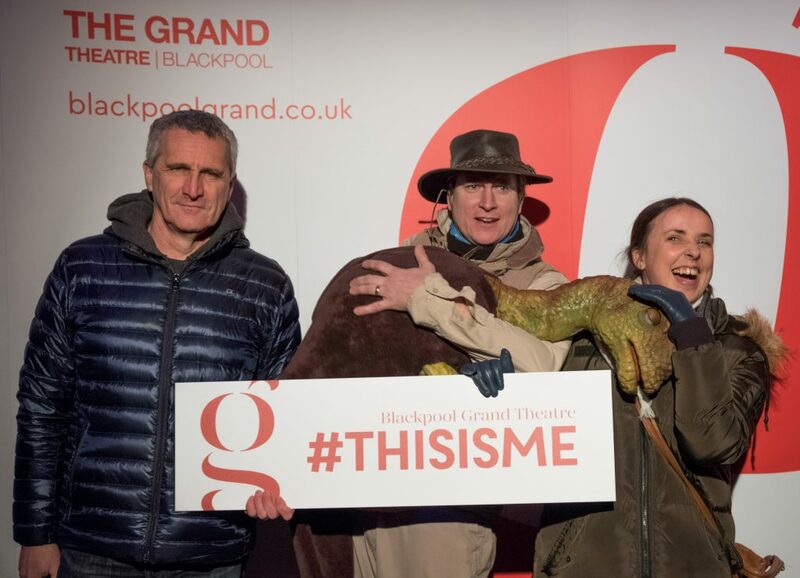 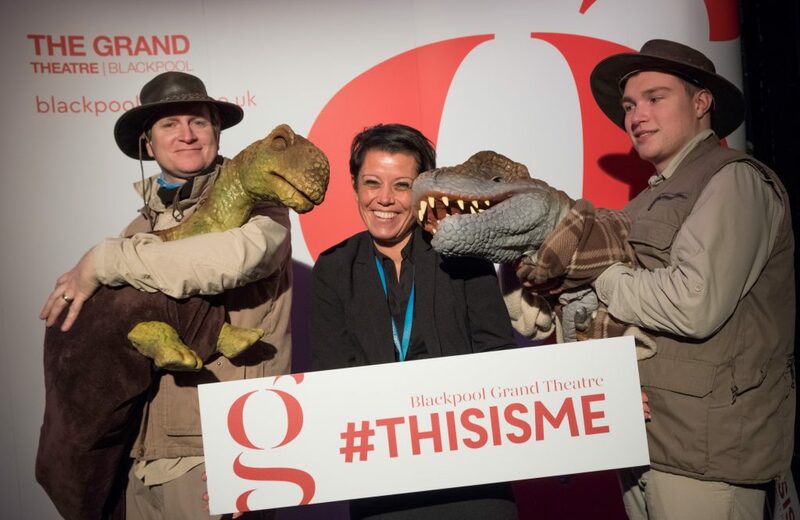 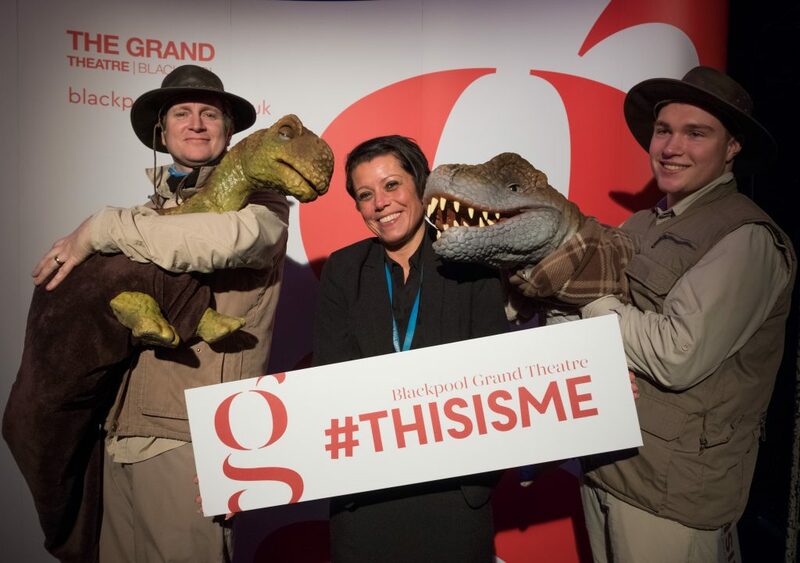 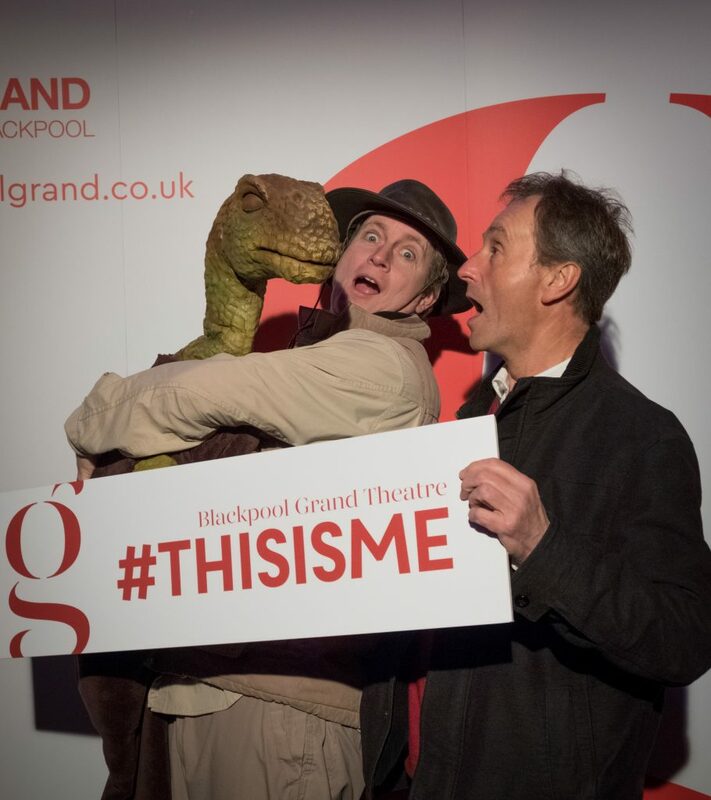 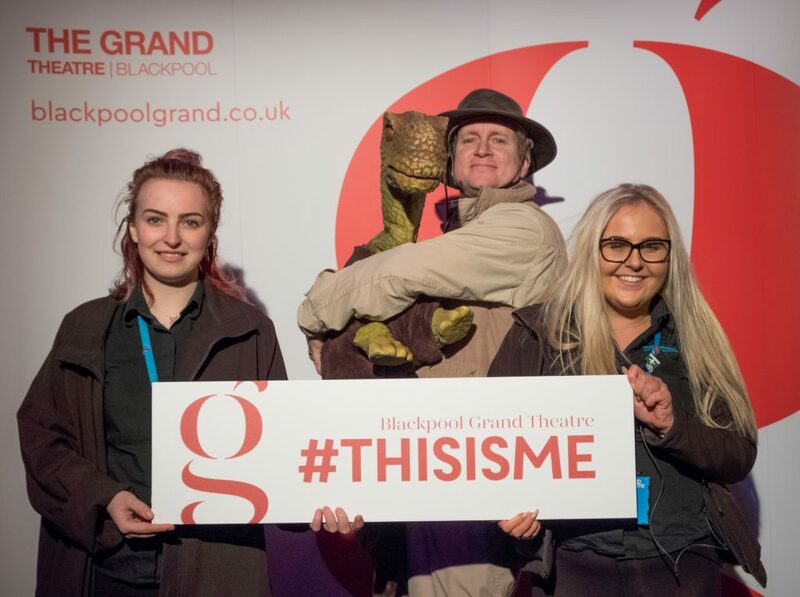 The Grand Theatre’s new season brochure launched with roaring success on Tuesday night at their biggest brochure launch event to date! 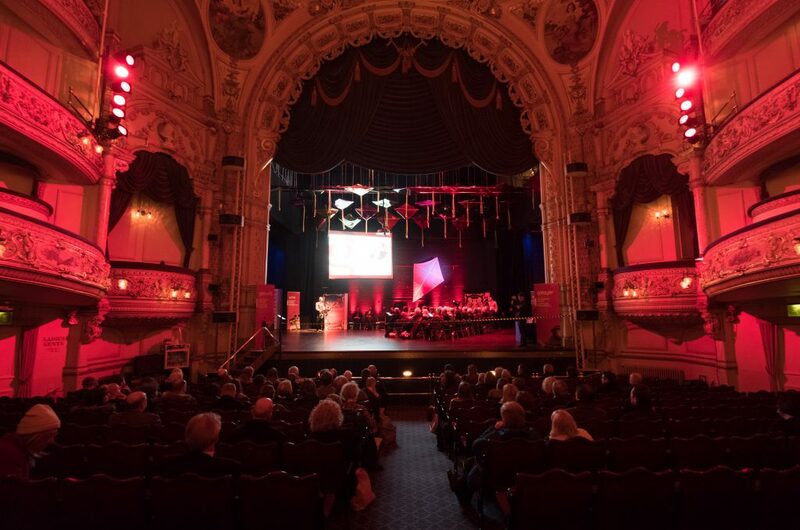 The event took place on the stage, the perfect setting to appreciate this magnificent theatre in all of its glory. 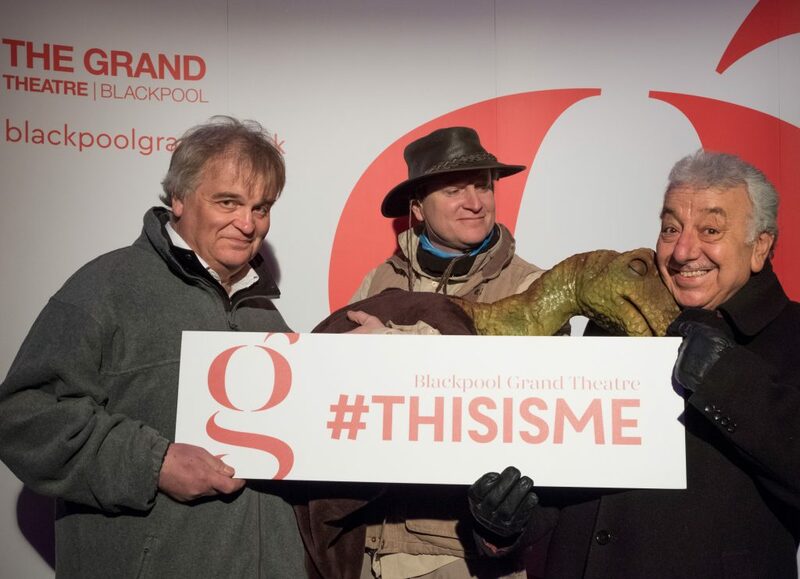 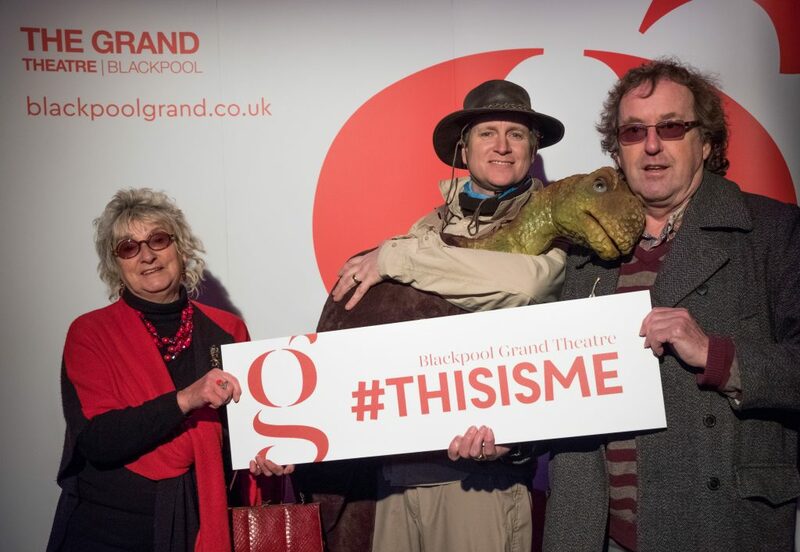 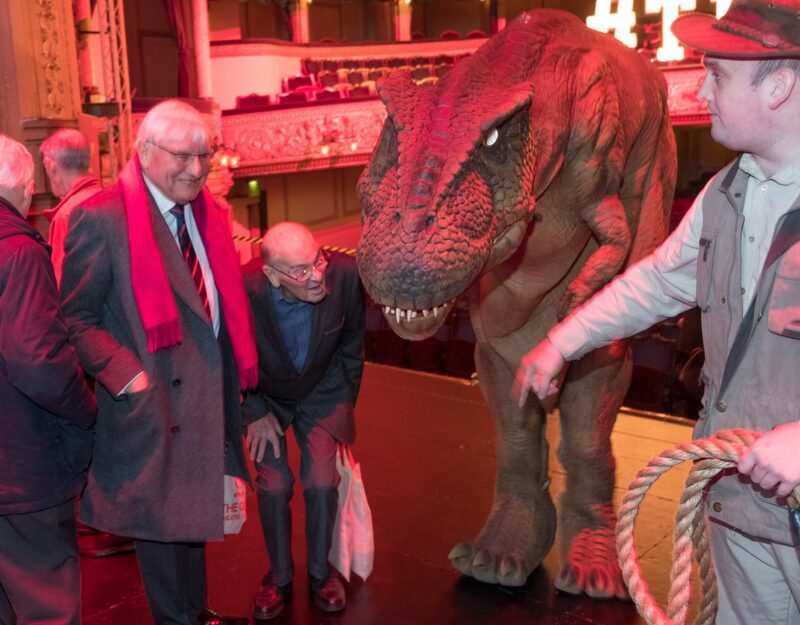 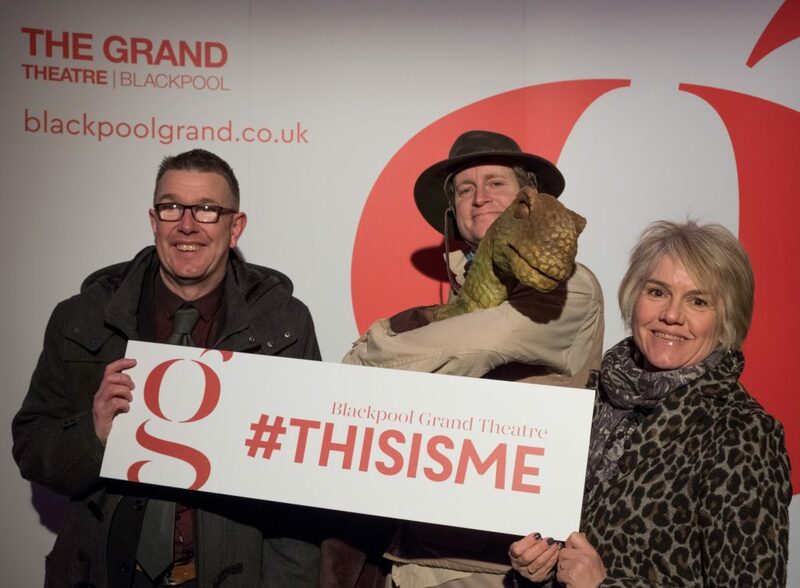 As guests were greeted by the staff’s usual, impeccable hospitality (and a T-Rex), the atmosphere on the stage was vibrant and exciting. 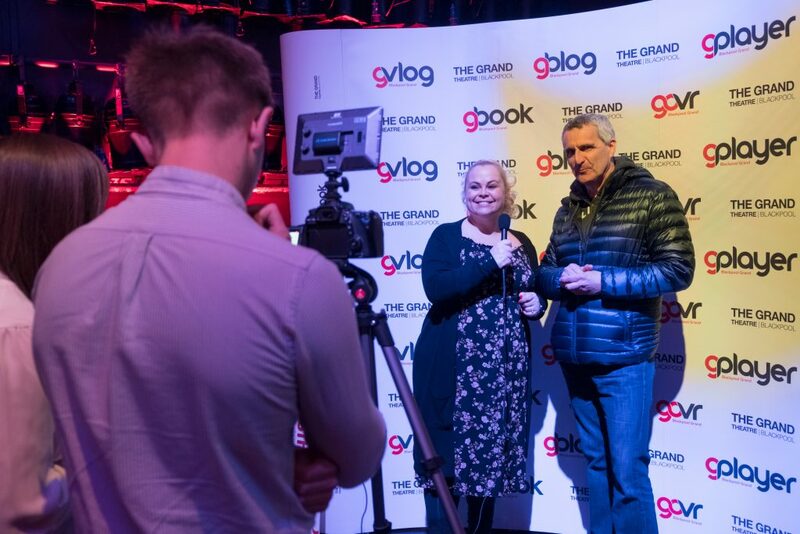 With more people than ever in attendance, there was a buzz in the room and those of us who were lucky enough to get a preview of the season ahead, were not disappointed. 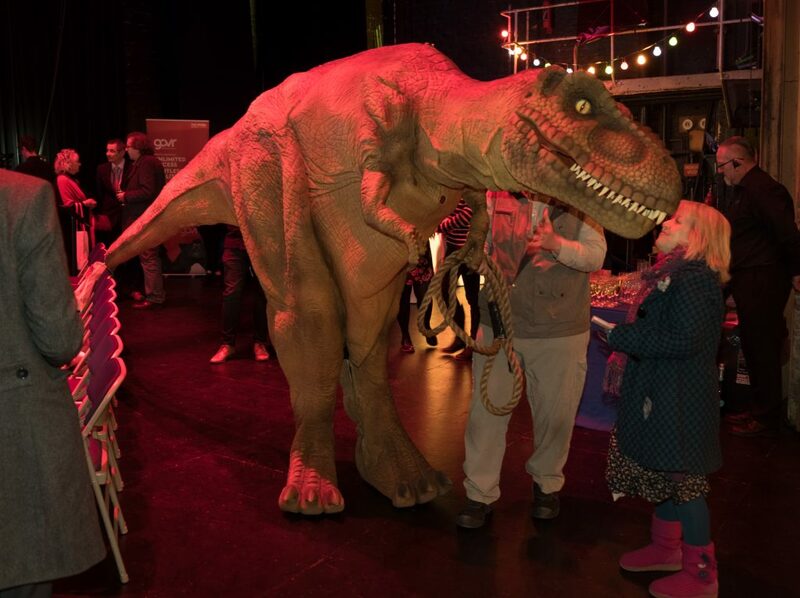 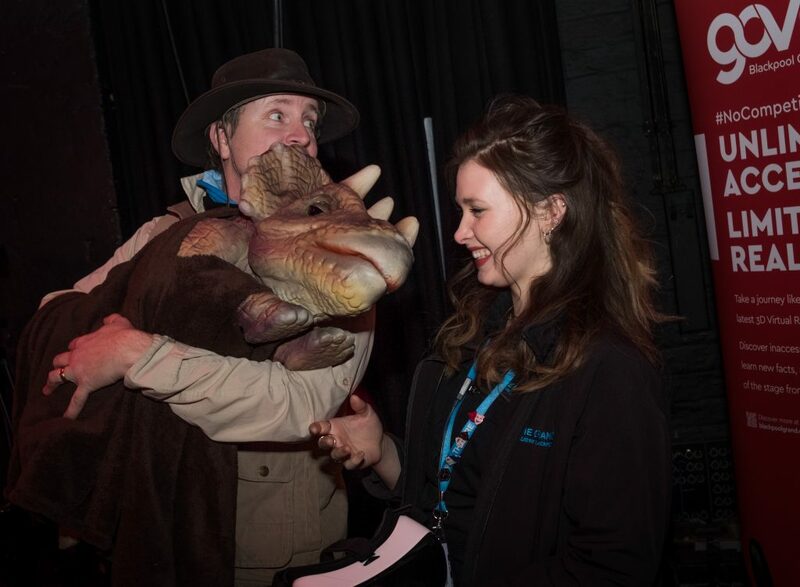 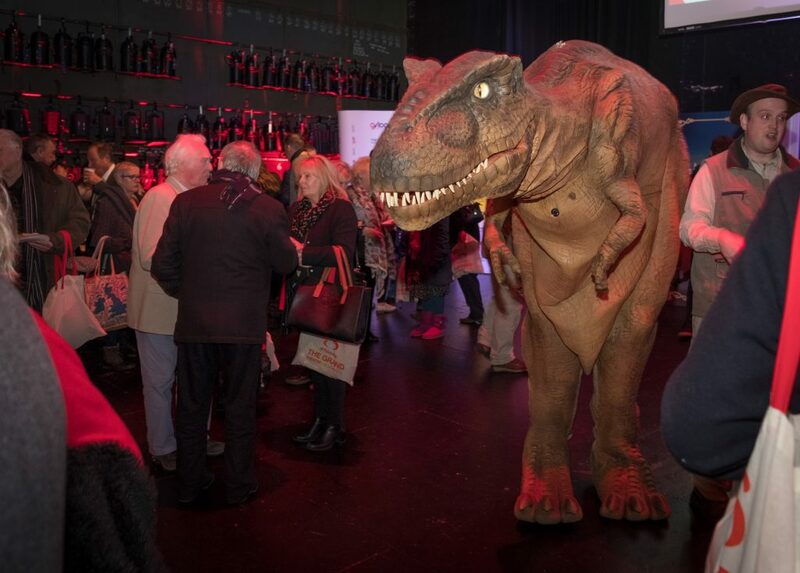 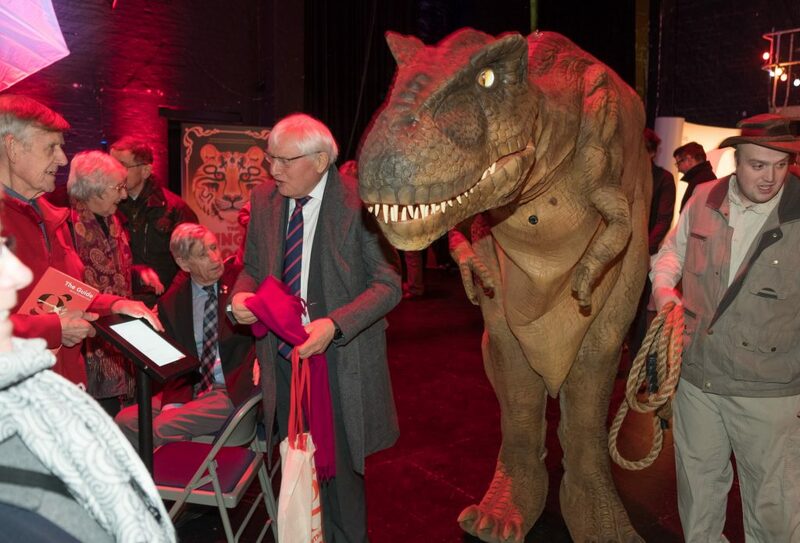 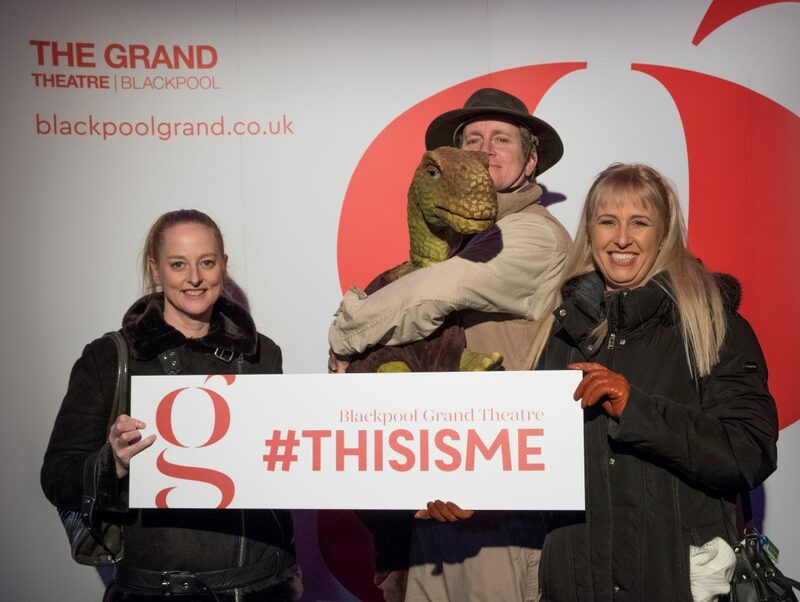 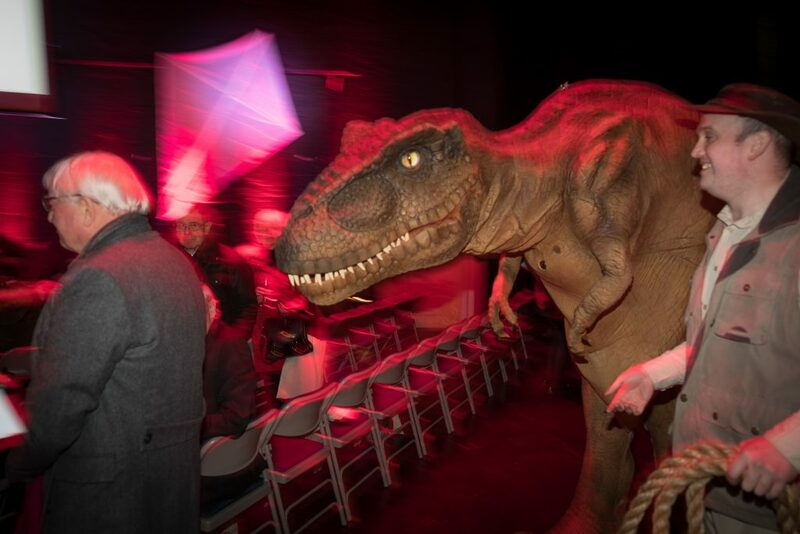 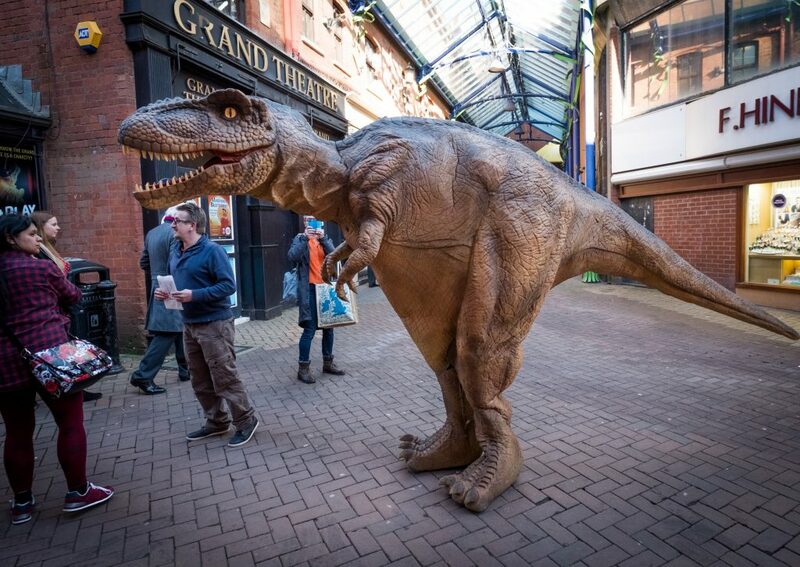 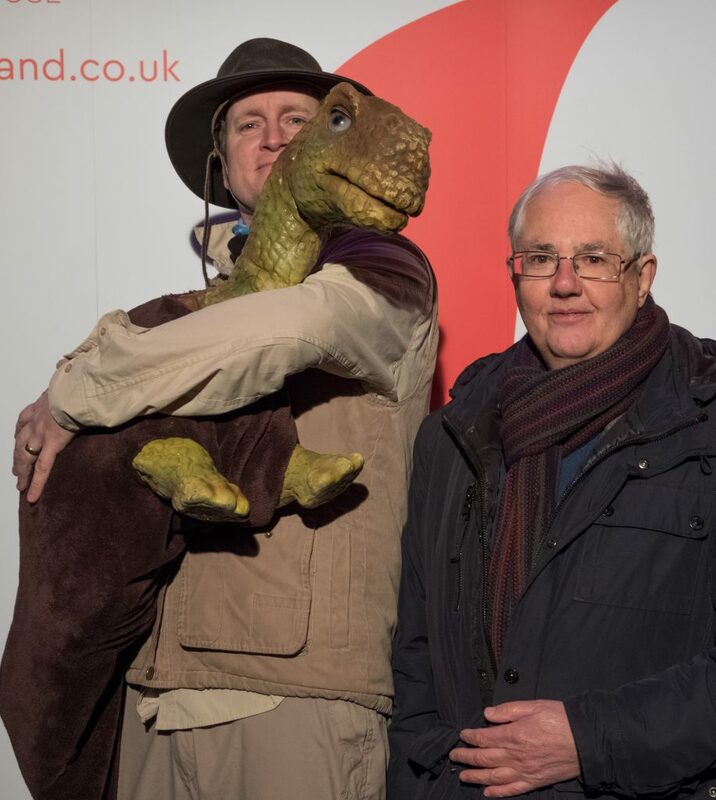 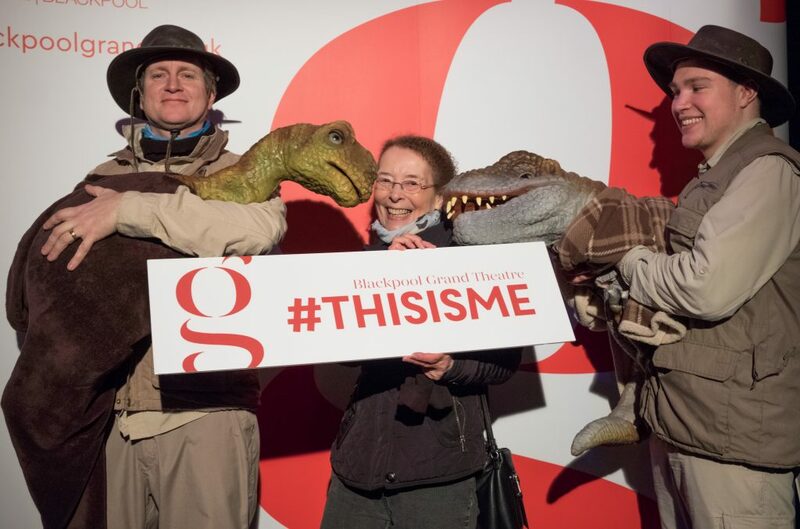 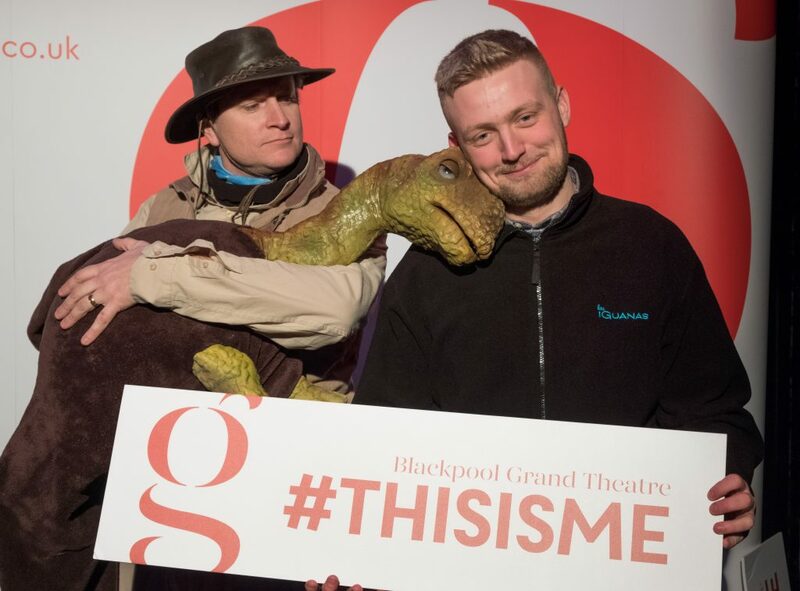 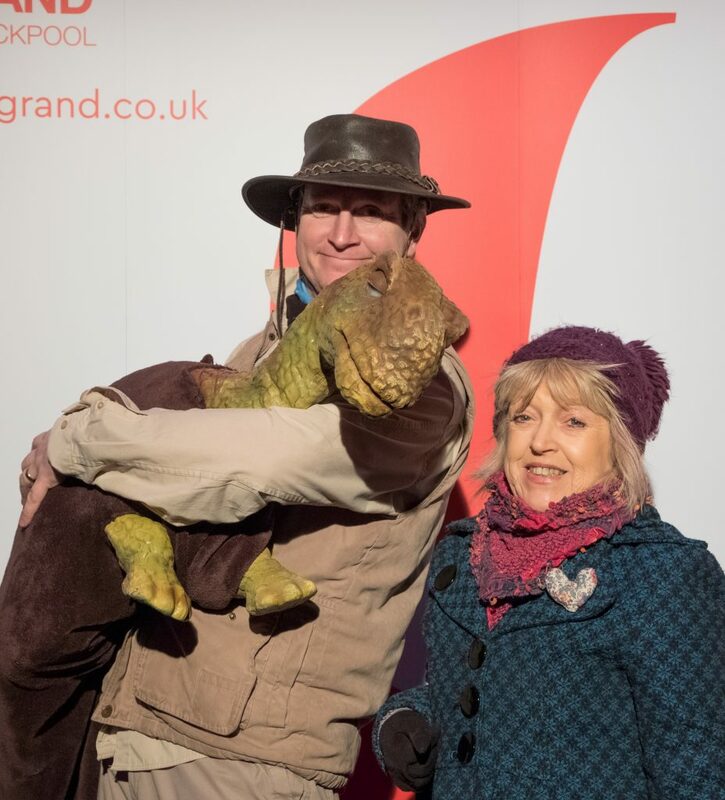 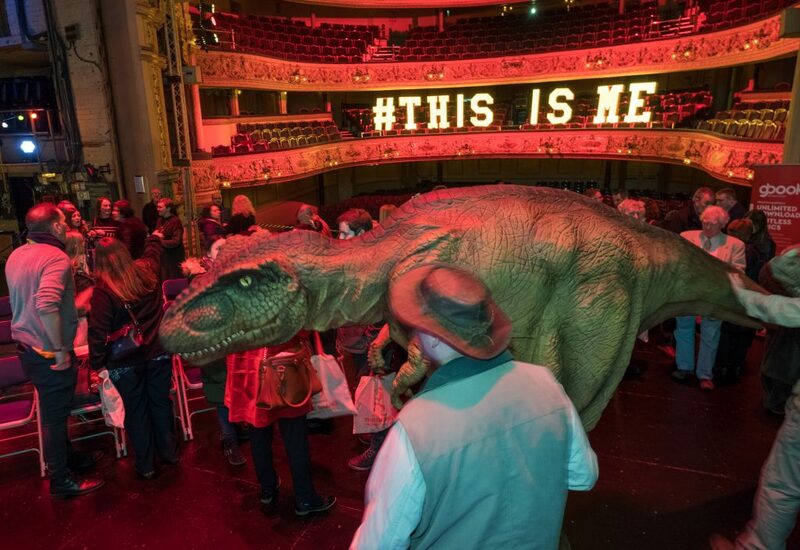 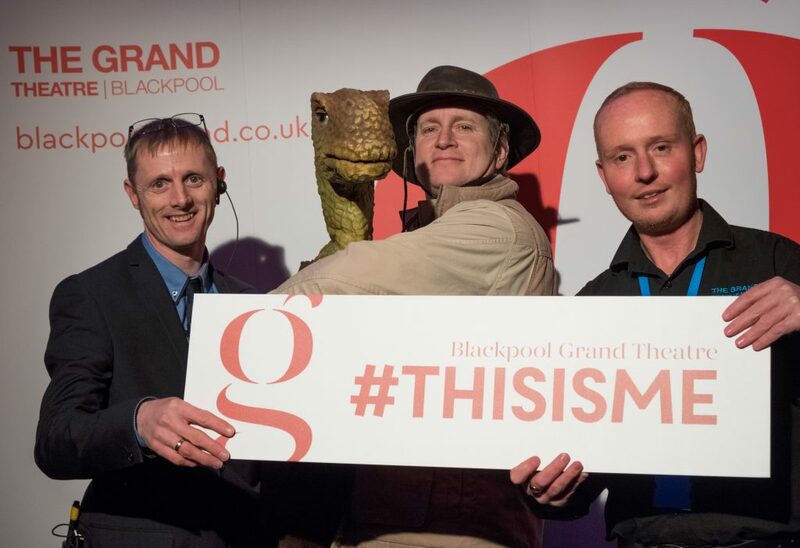 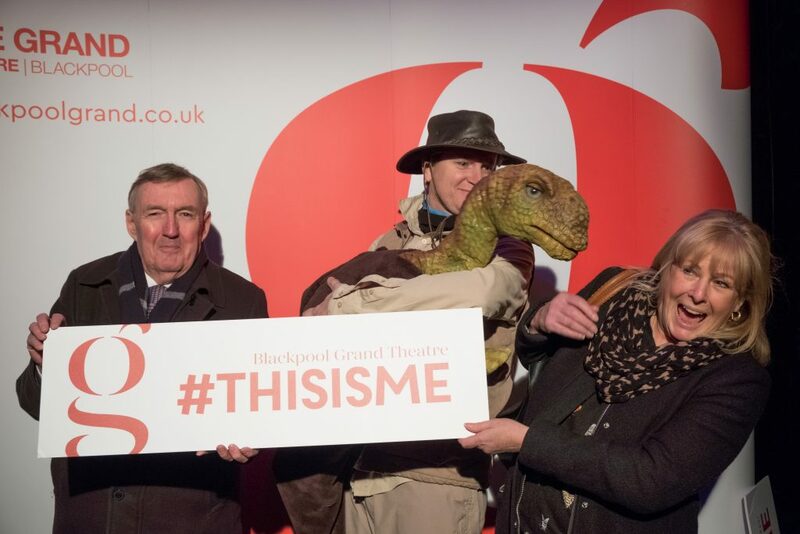 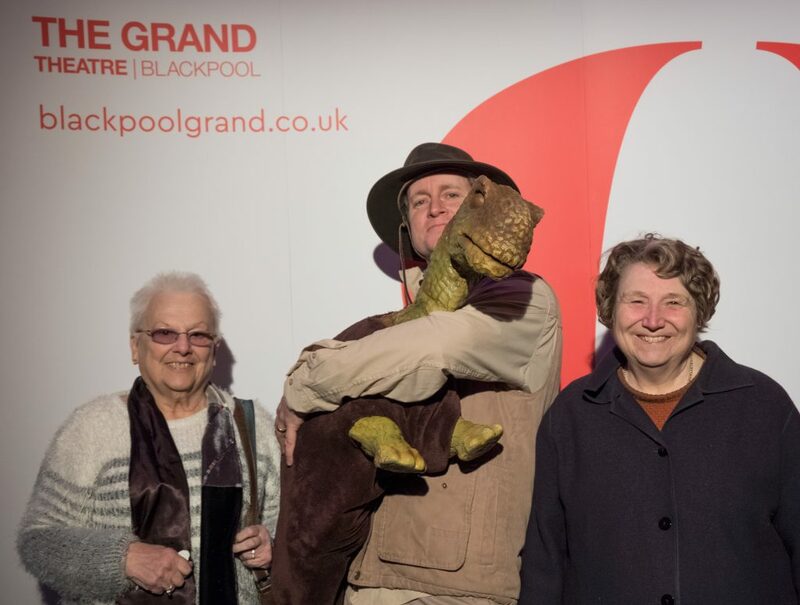 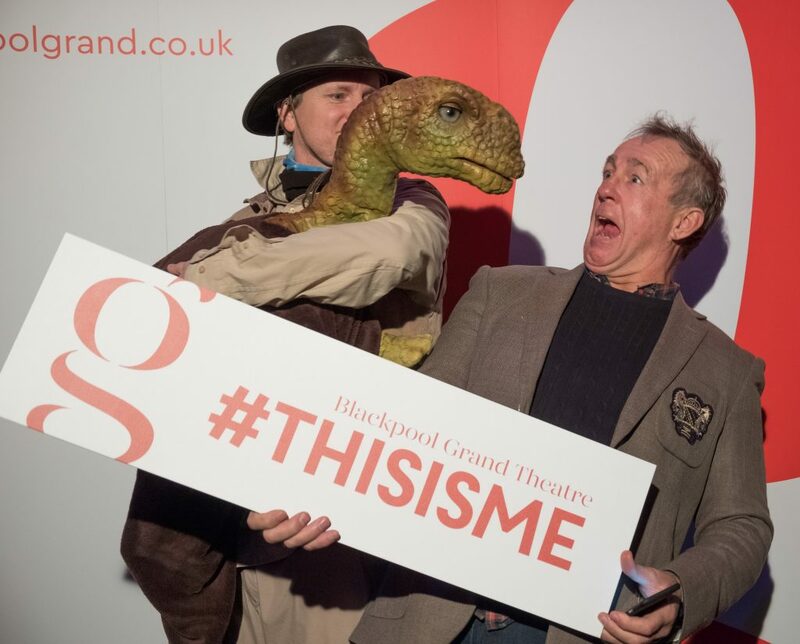 The stage was a hub of activity and included appearances from a T-Rex family to promote Dinosaur World Live and take photos with guests, their gVlog interviews and goVR (Virtual Reality) demonstrations. 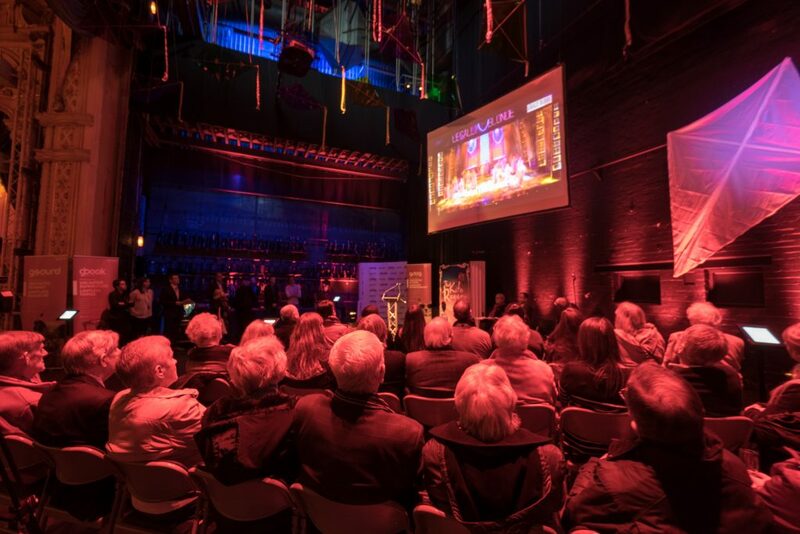 The theatre showed off their engaging new video content promoting shows and the great work the theatre does for the local community. 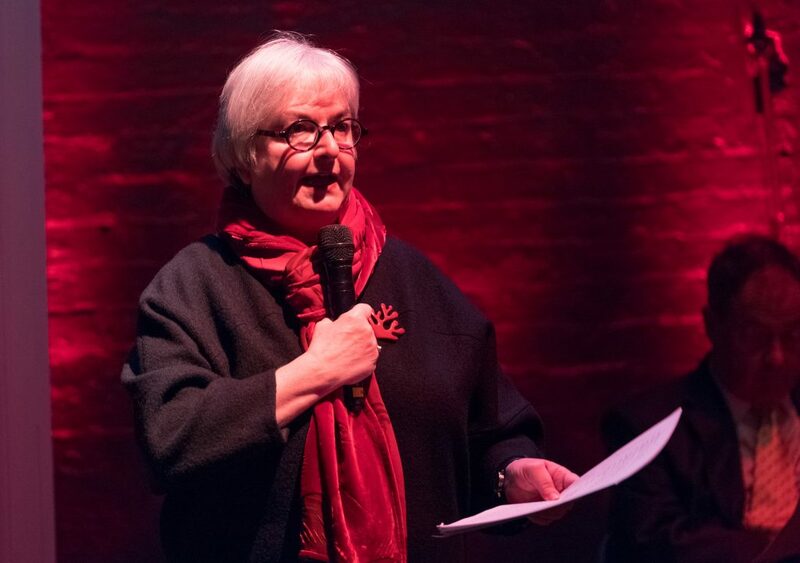 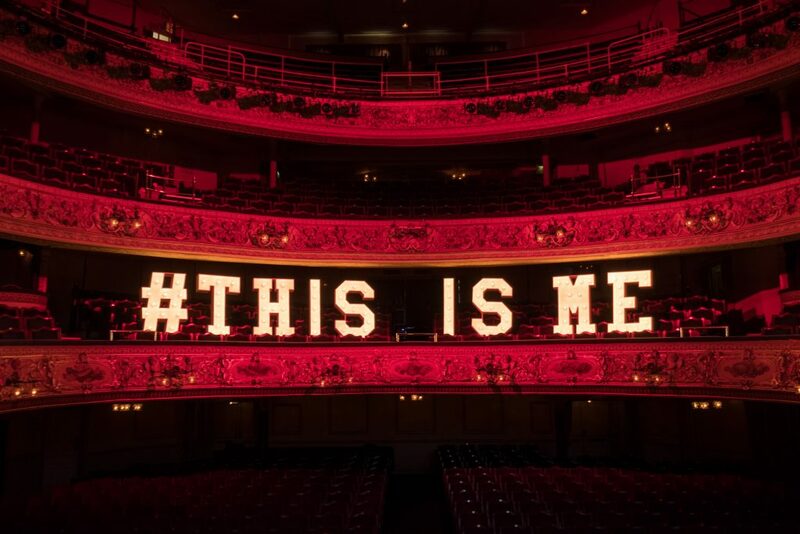 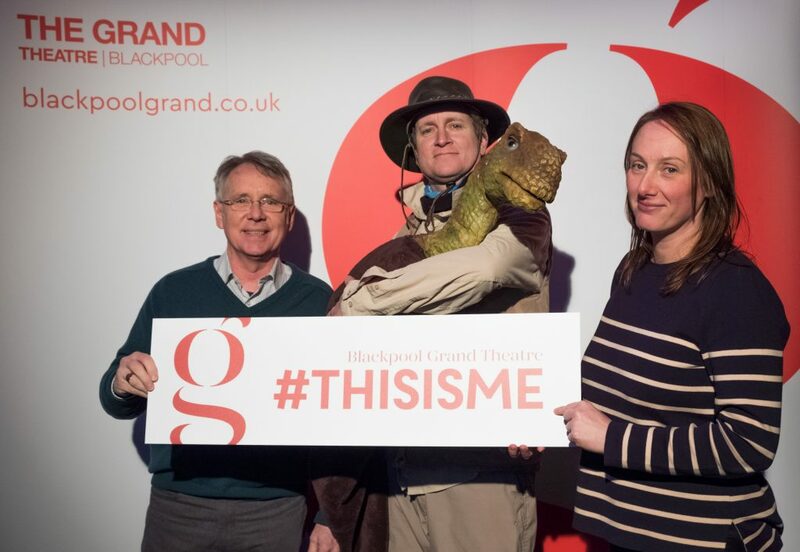 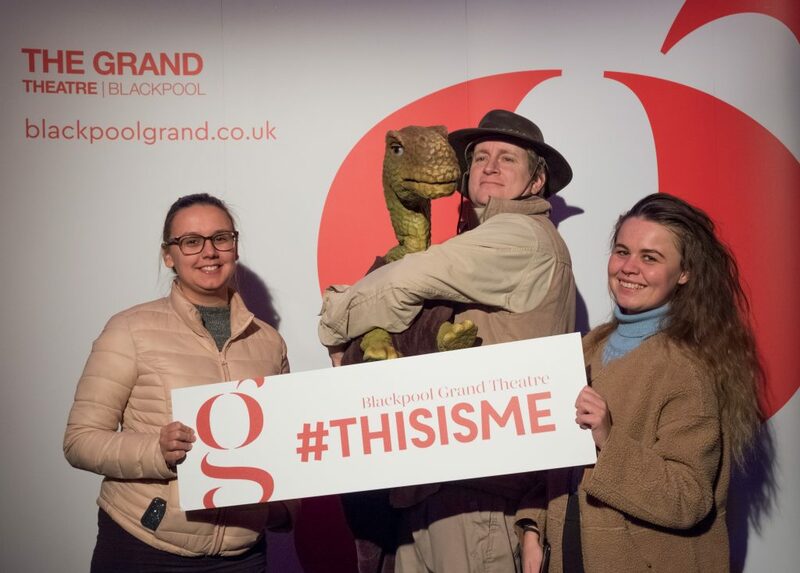 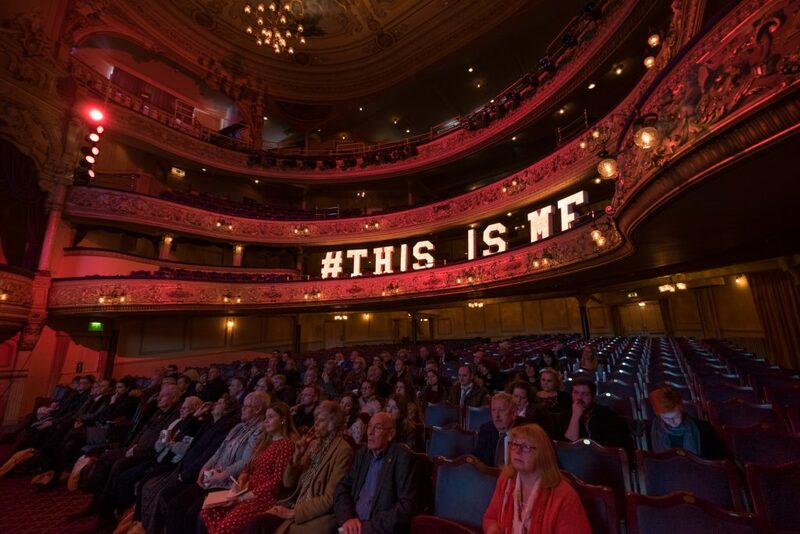 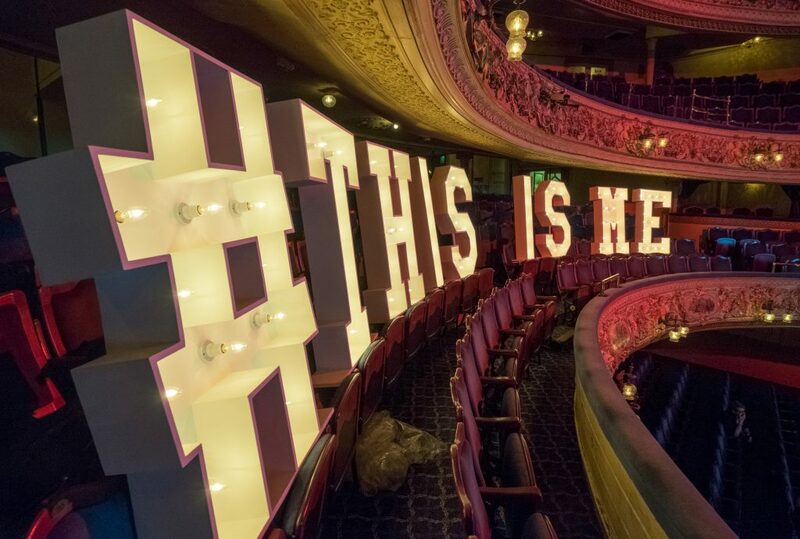 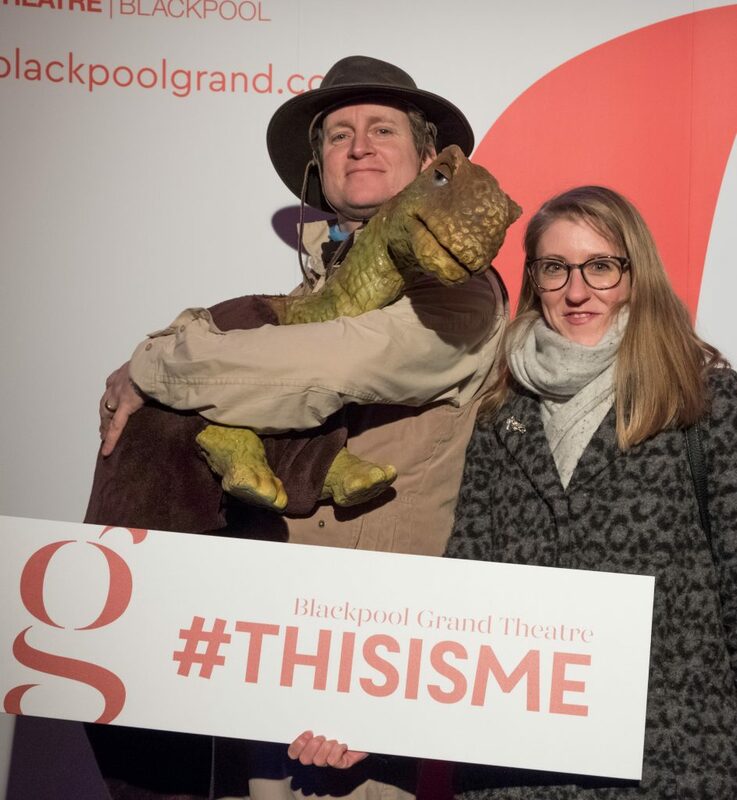 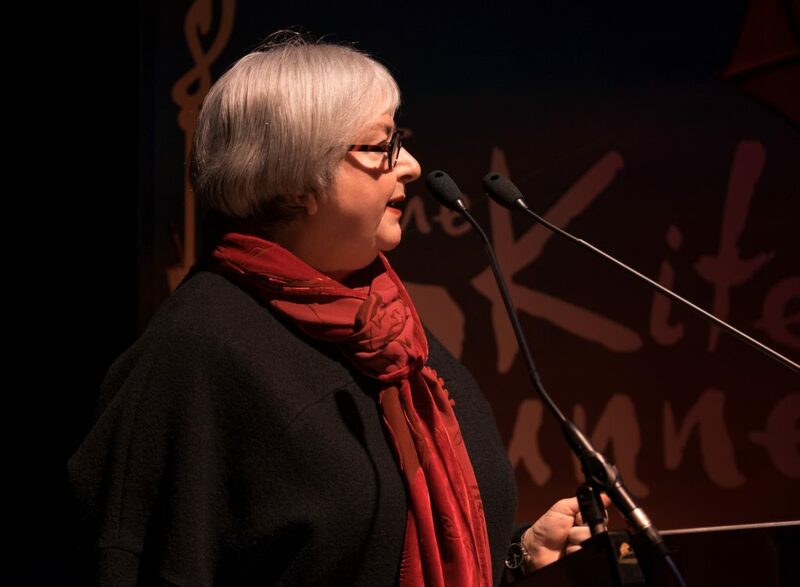 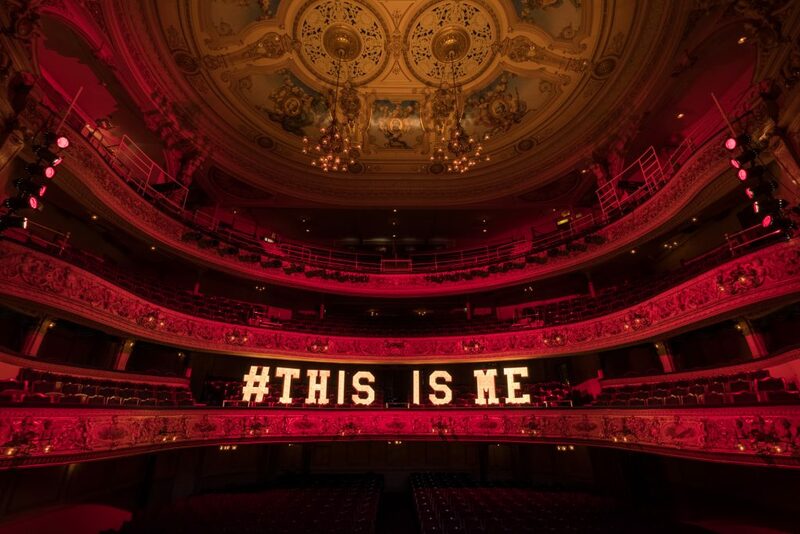 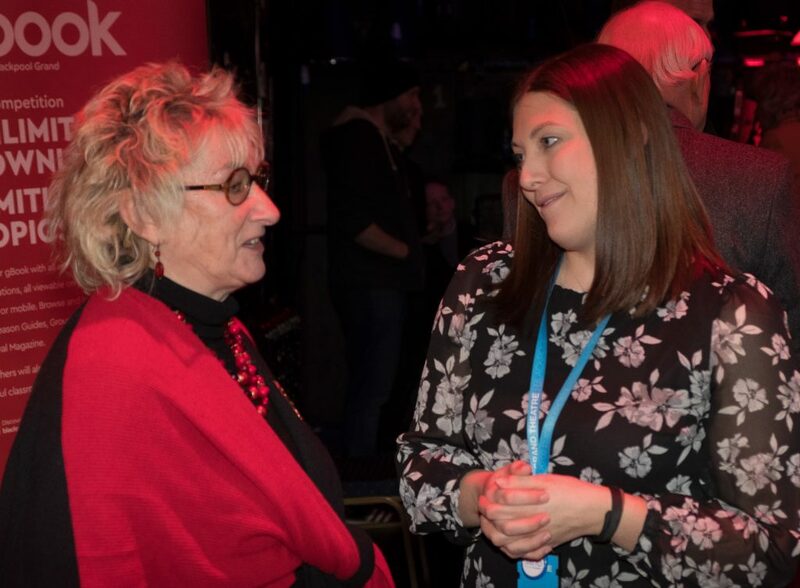 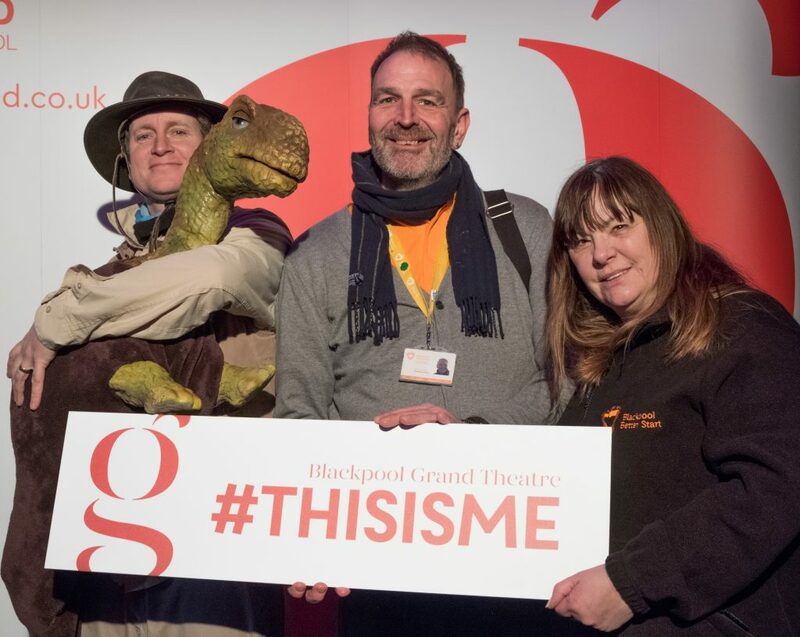 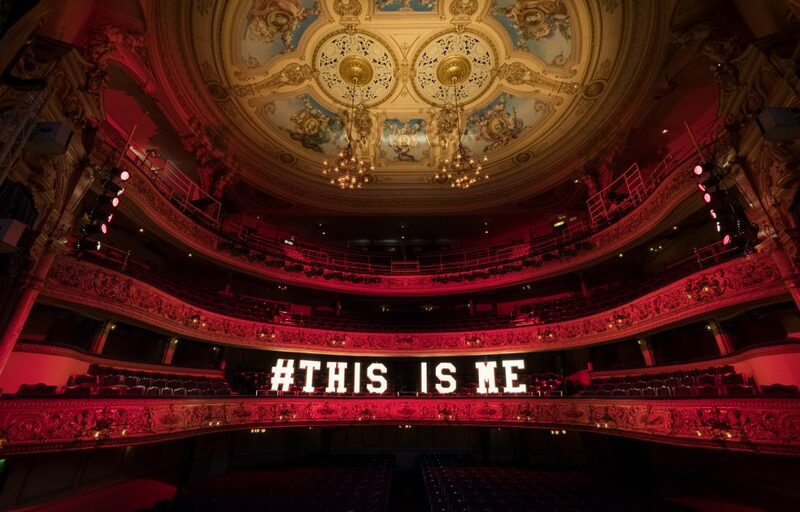 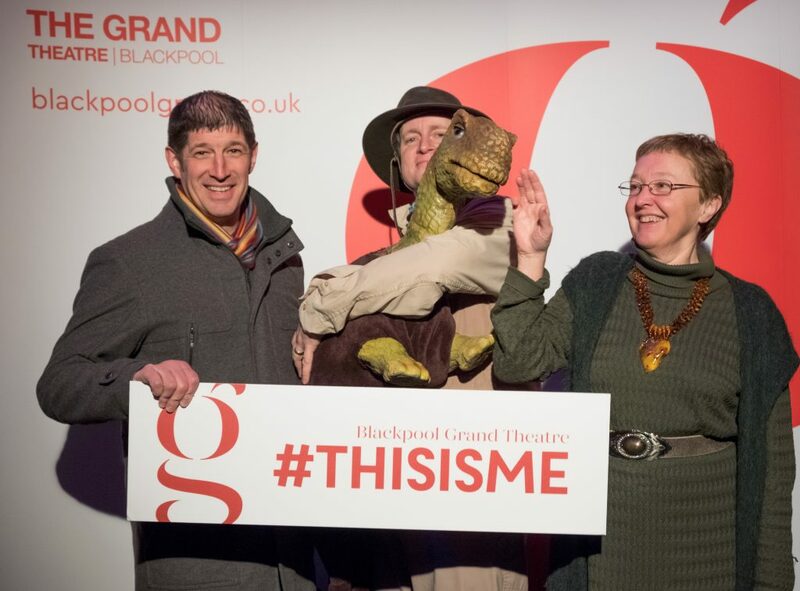 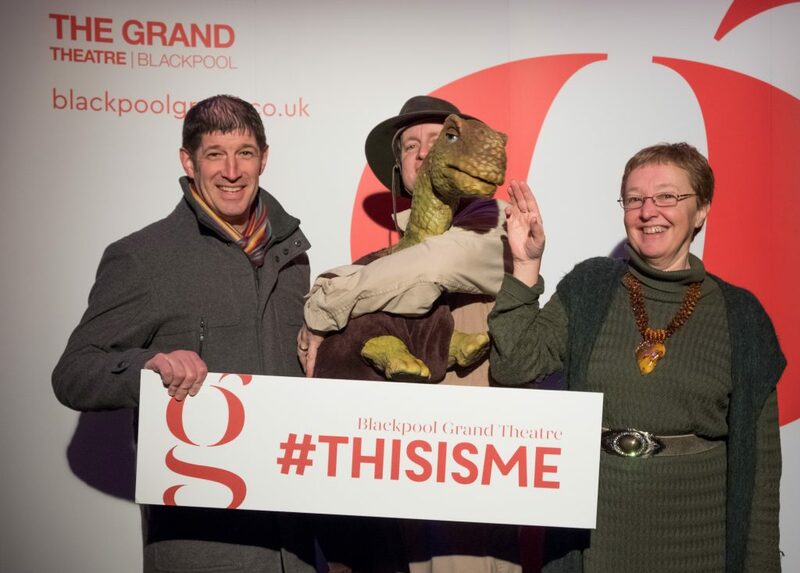 We heard from Ruth Eastwood, CEO of the theatre, about their #ThisIsMe campaign and the important work the theatre does with the community and local schools. 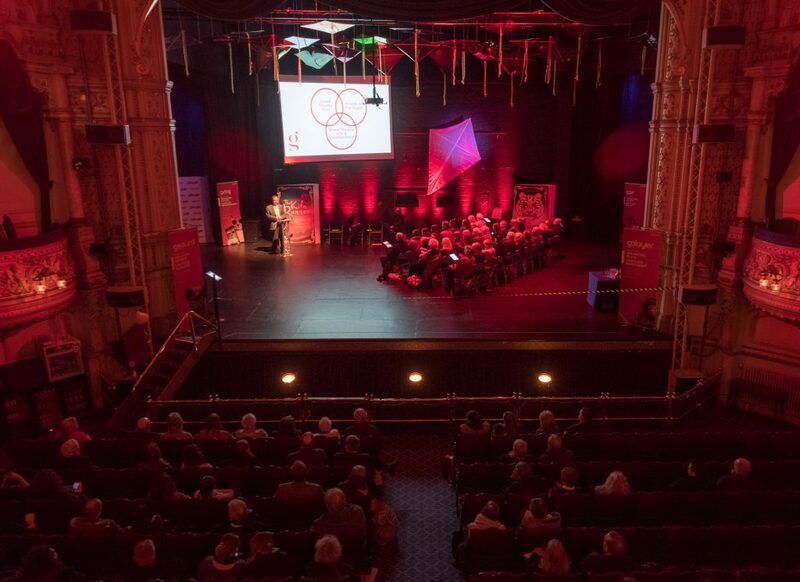 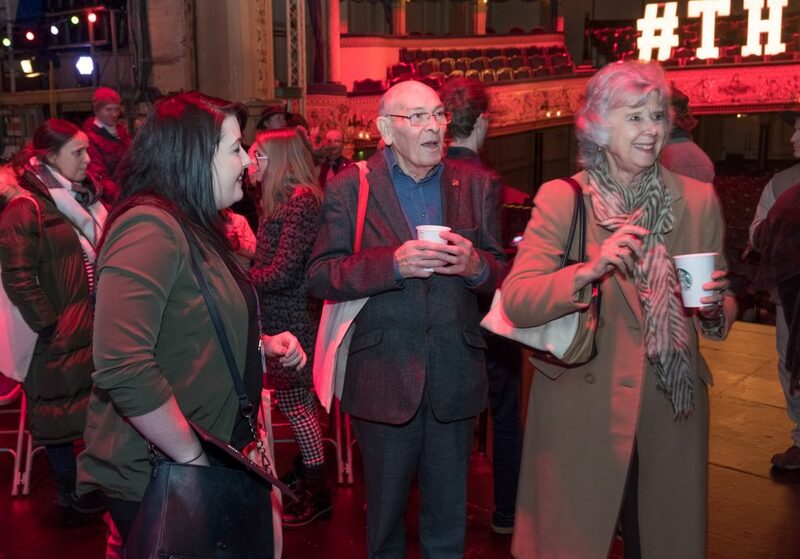 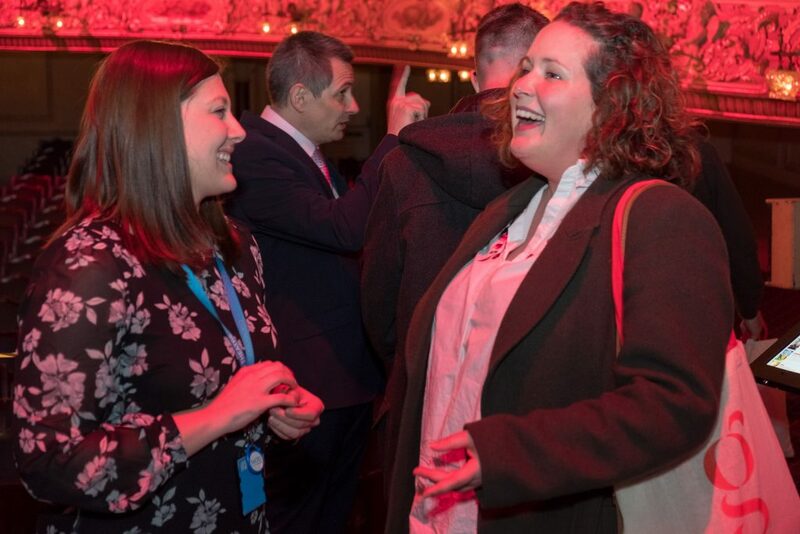 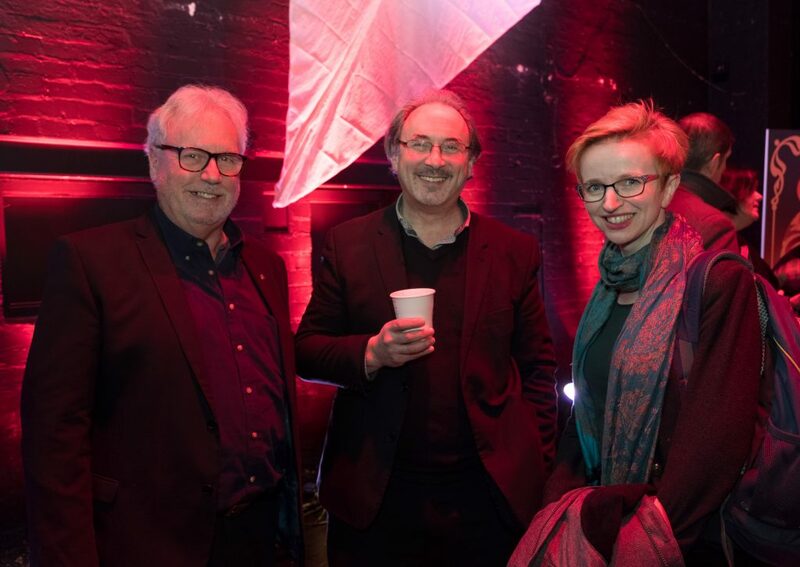 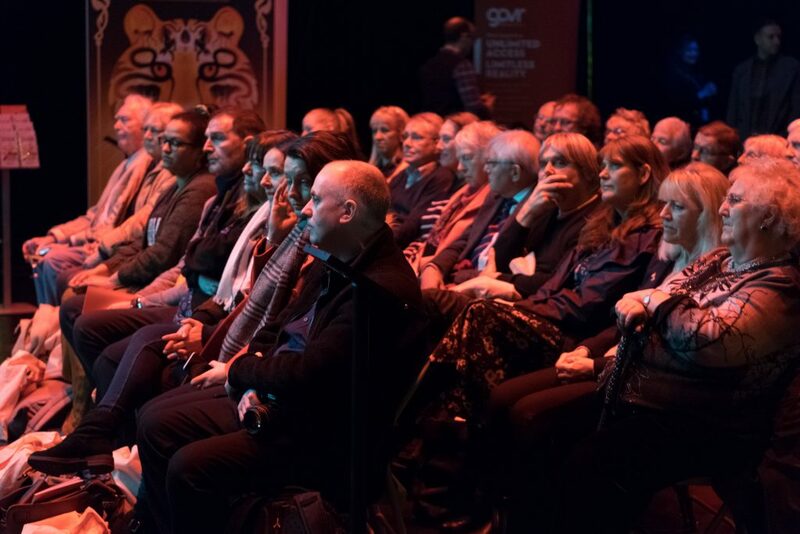 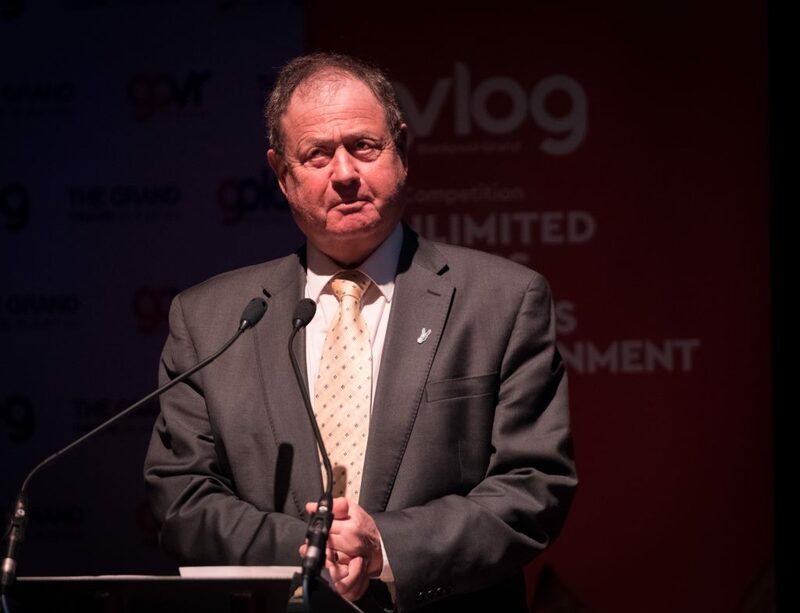 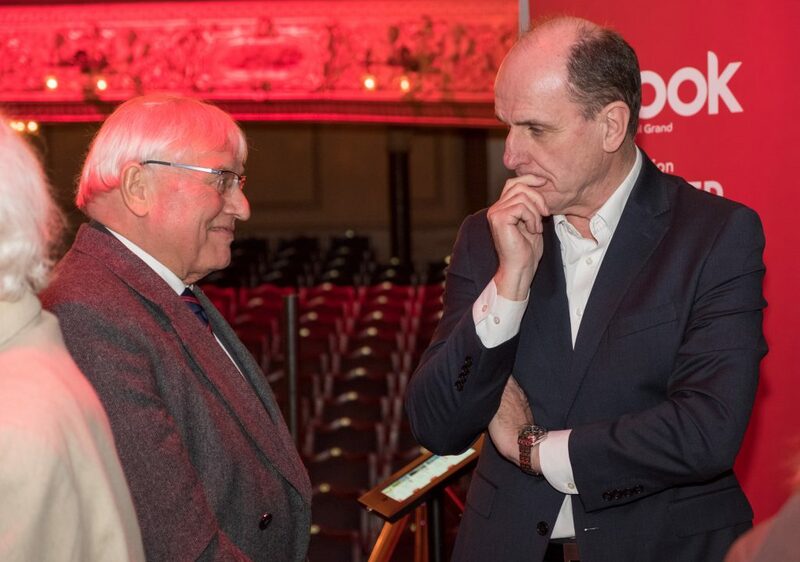 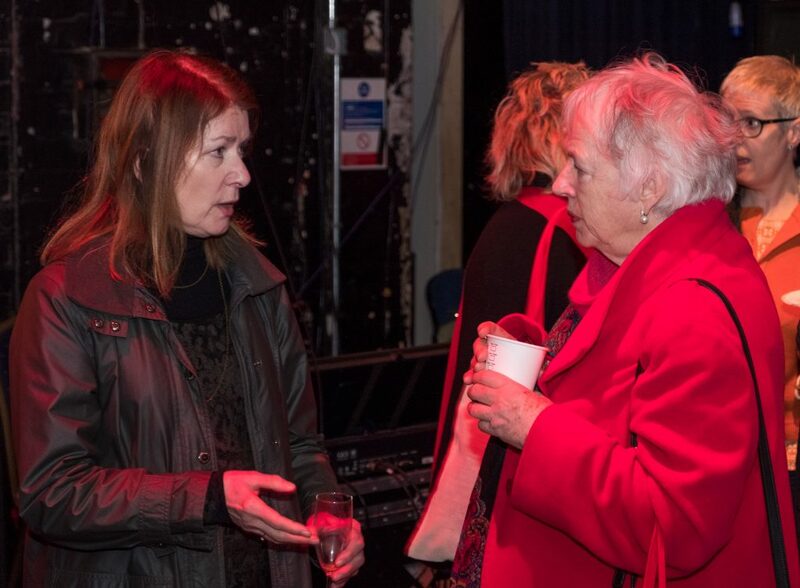 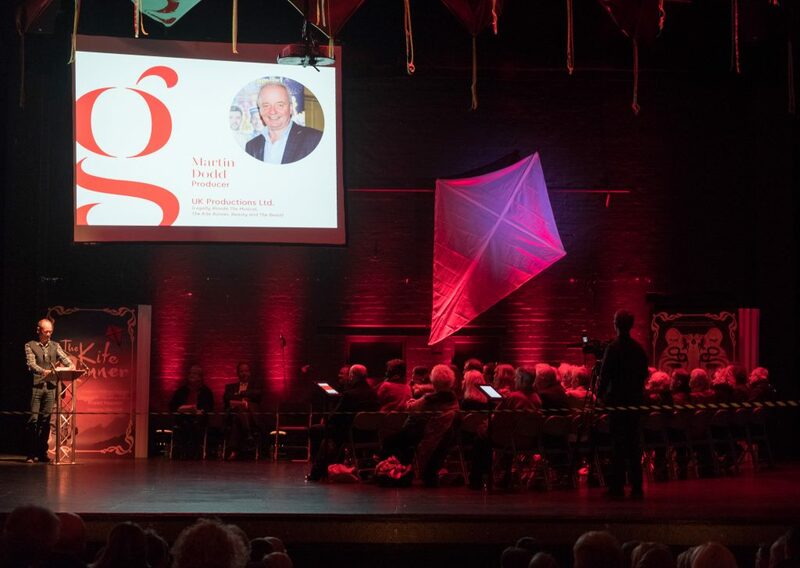 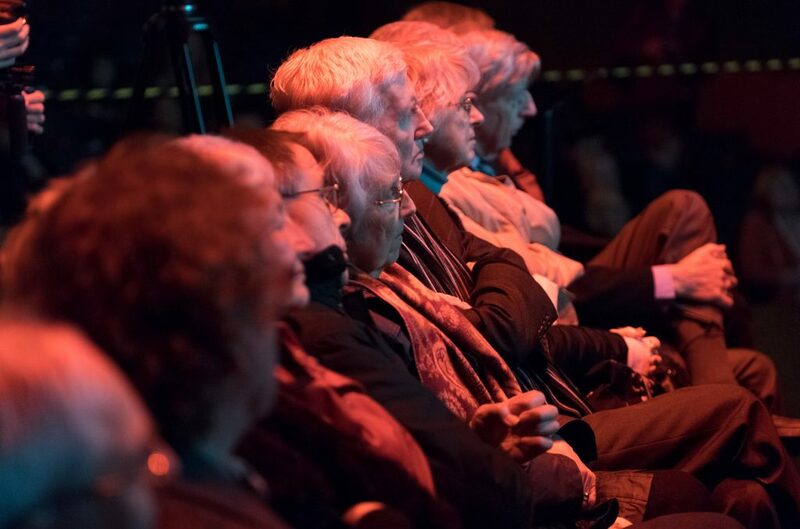 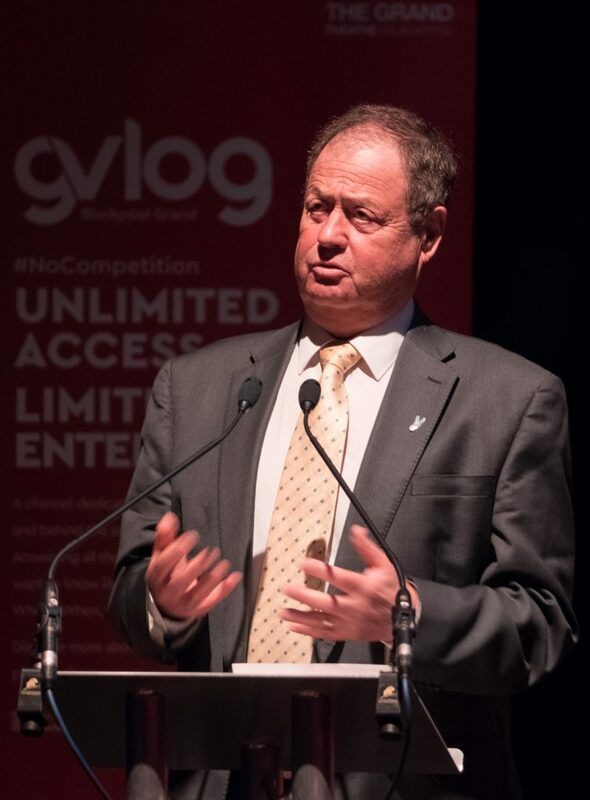 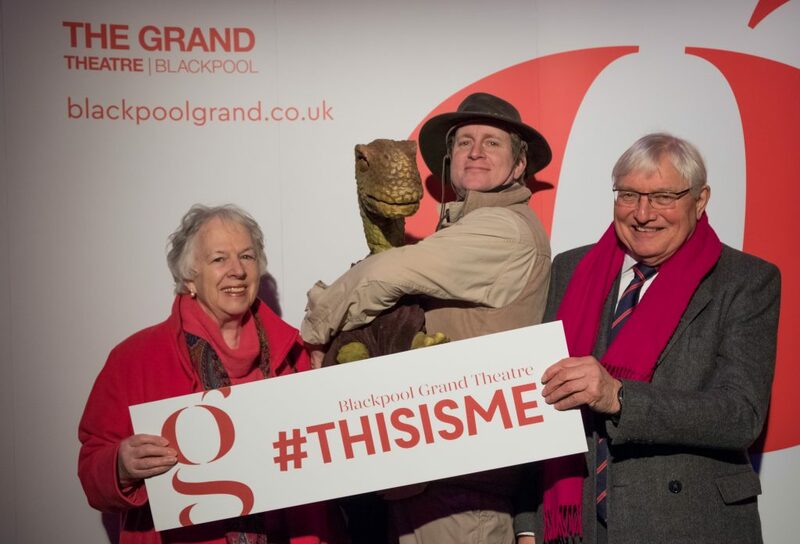 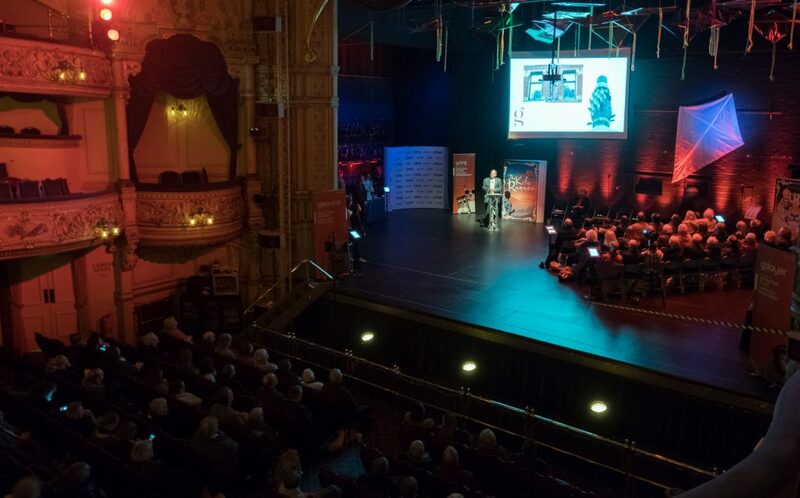 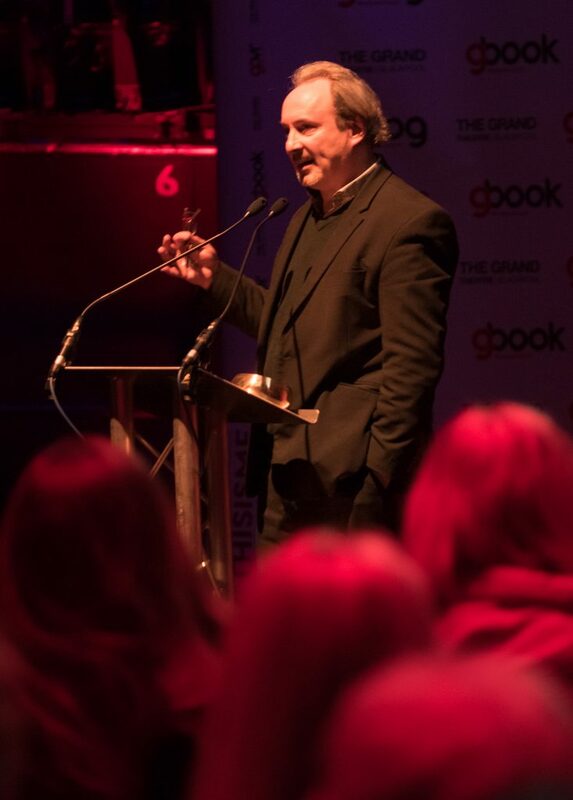 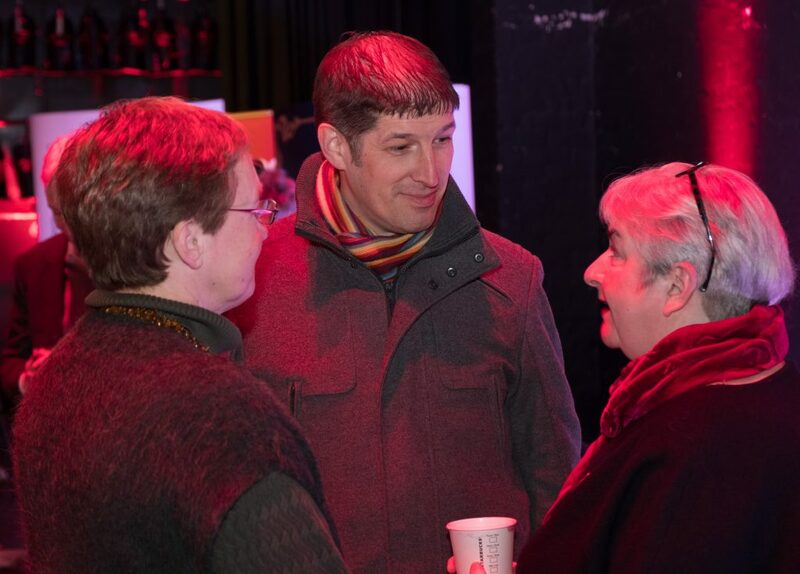 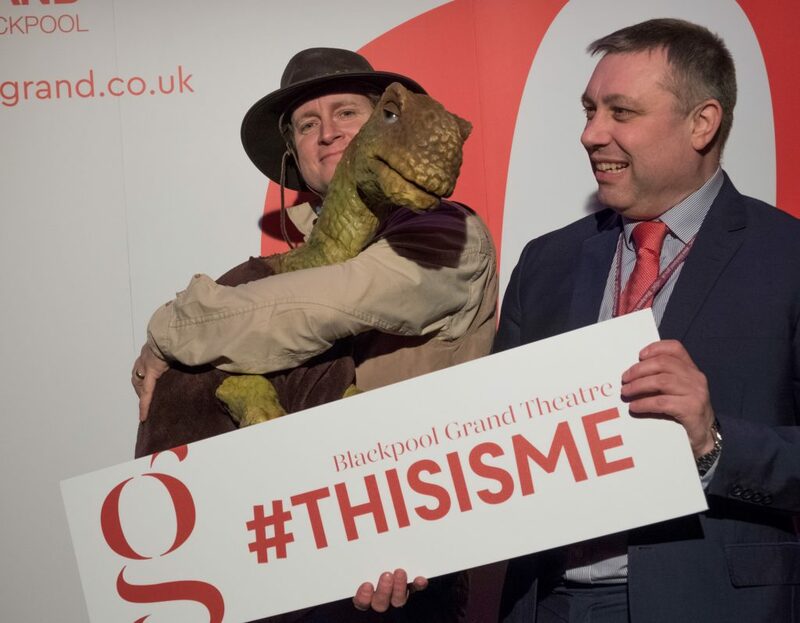 Anthony Stone, Chairman of the Arts and Entertainment Board, at The Grand Theatre, spoke to guests about the theatre’s important partnerships and support network. 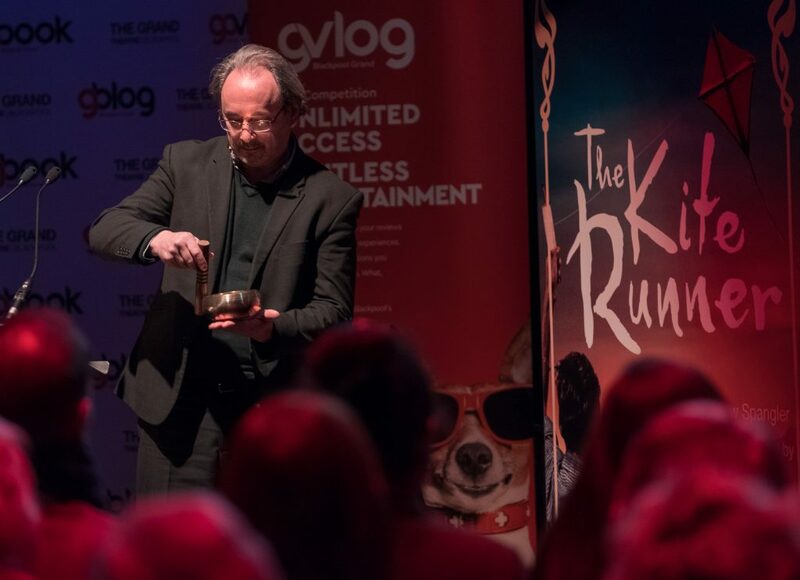 Although Producer Martin Dodd couldn’t be there in person, Steve Royle stepped in and read a statement from him, with necessary comedic additions of course. 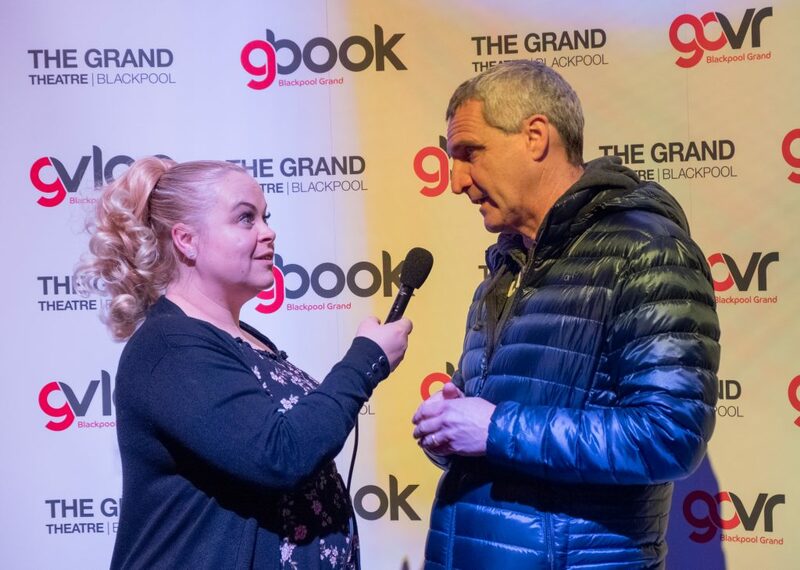 Steve got us excited for the shows UK Productions are bringing to the theatre this year such as; Legally Blonde the Musical, The Kite Runner and of course our new Panto, Beauty and the Beast. 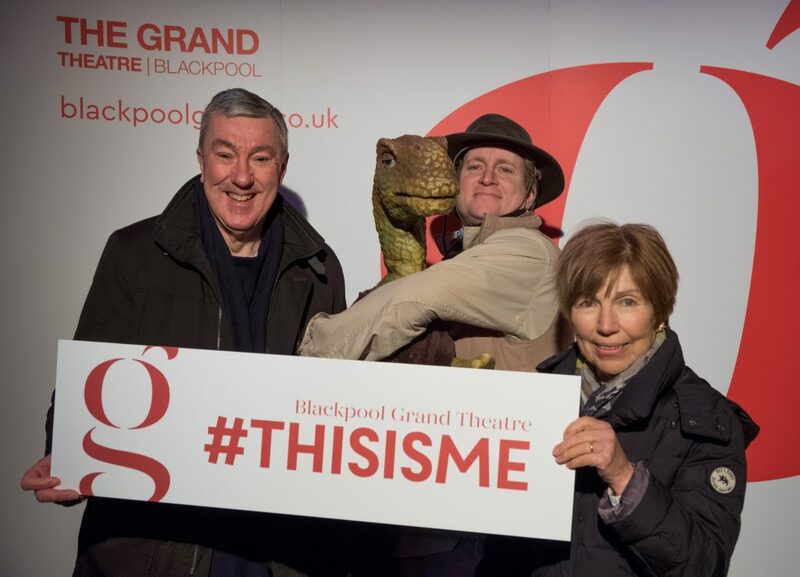 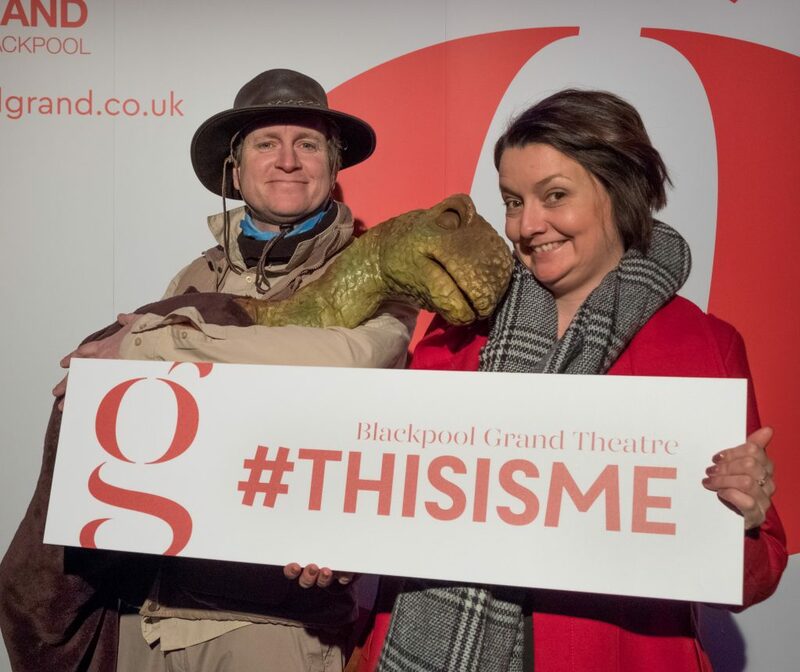 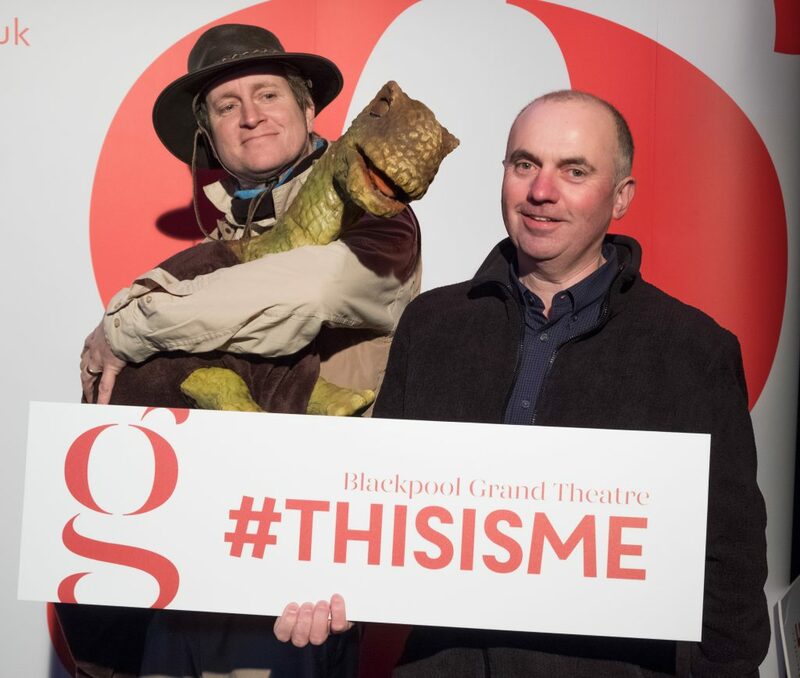 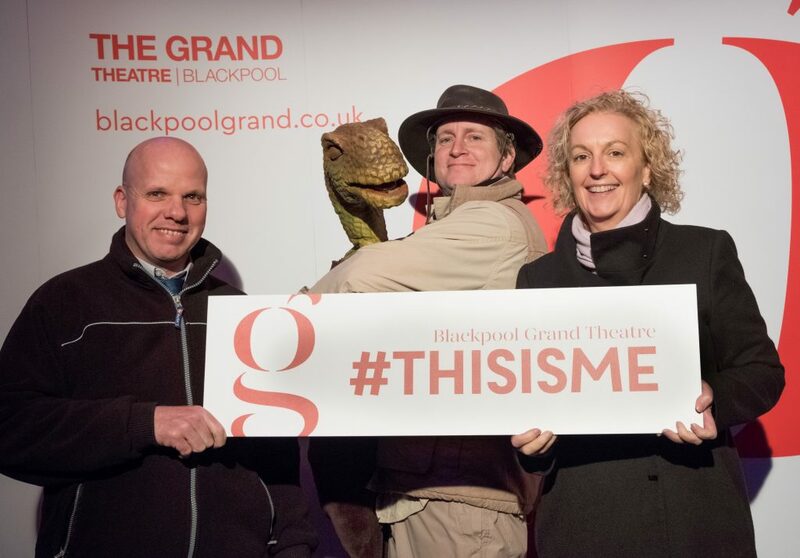 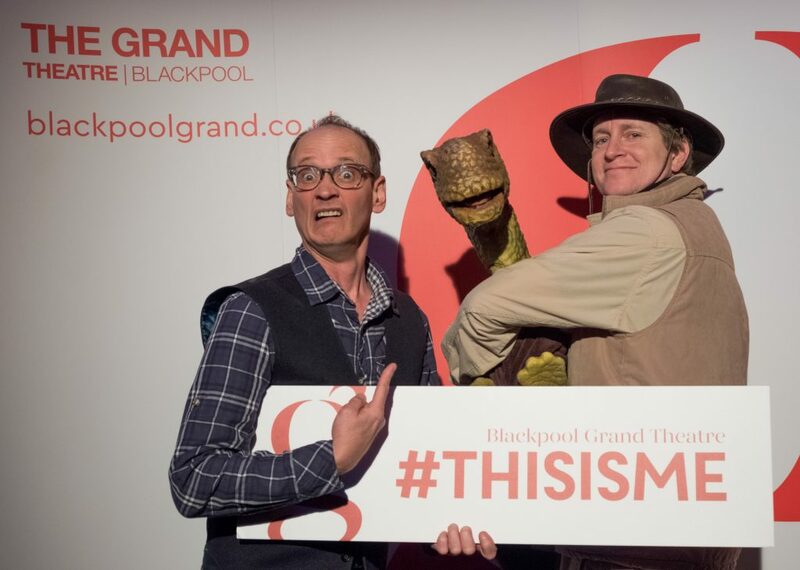 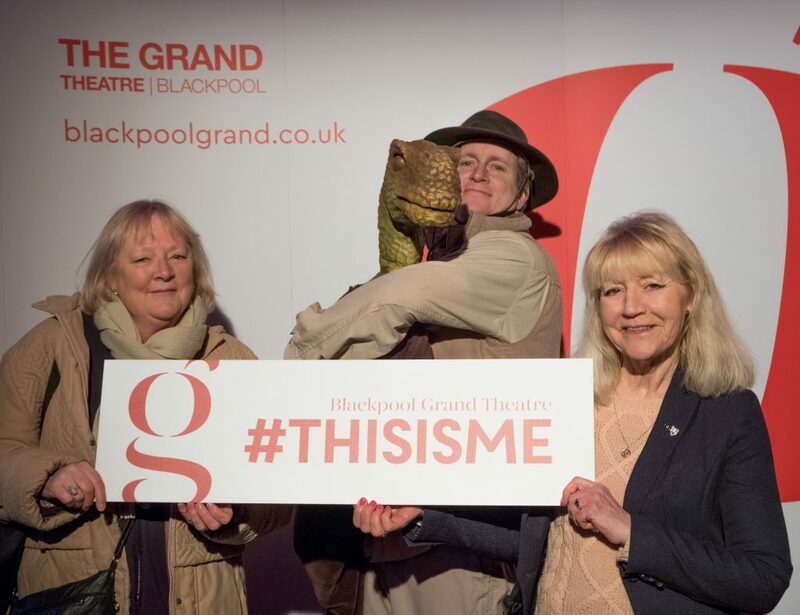 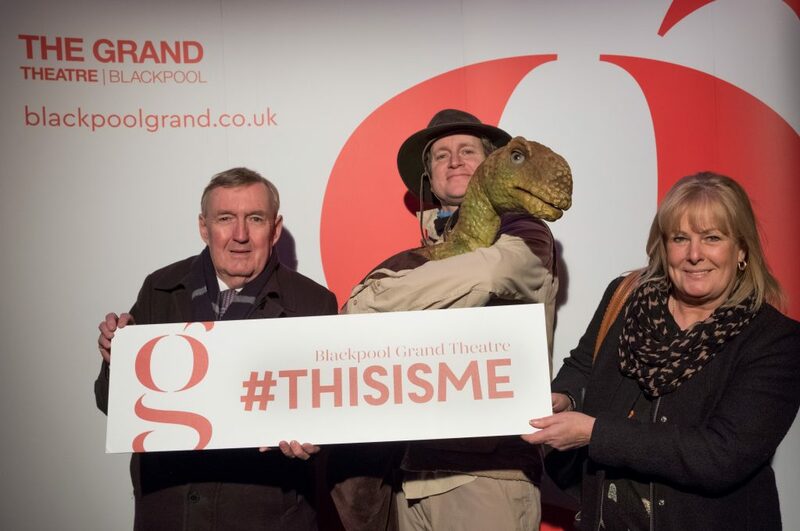 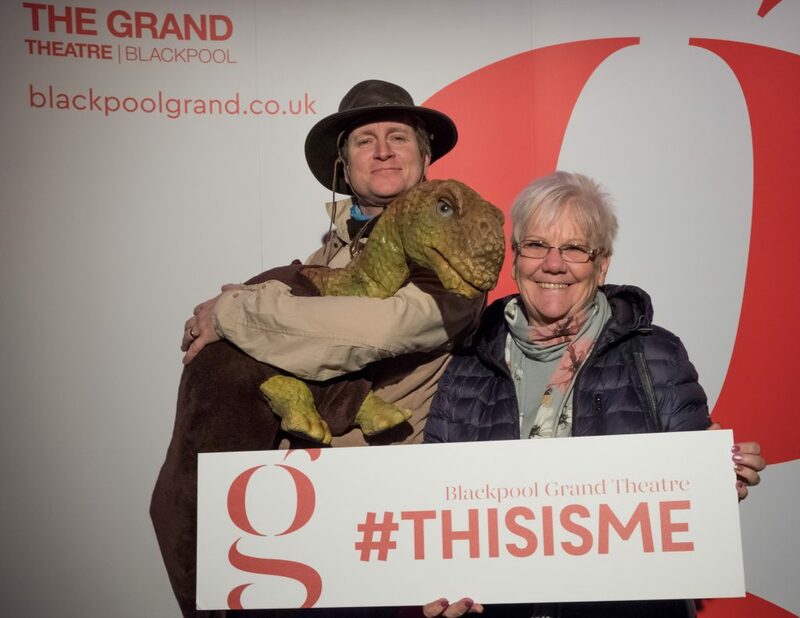 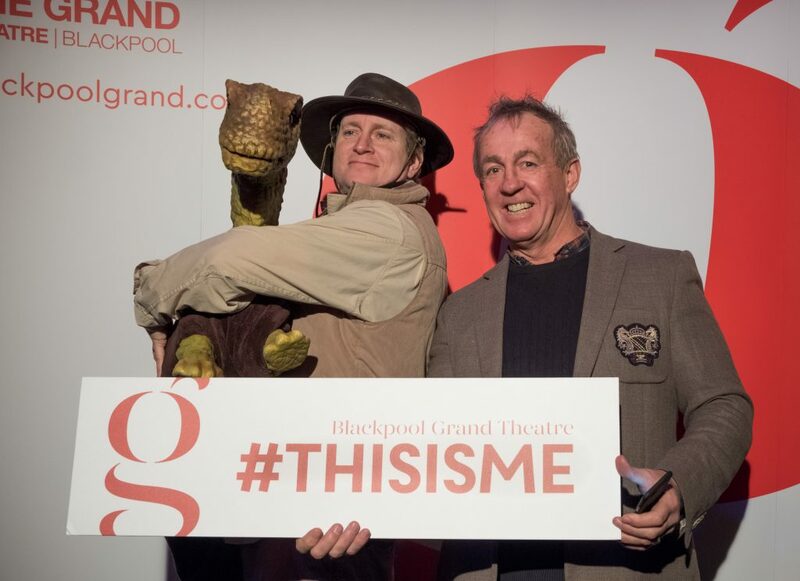 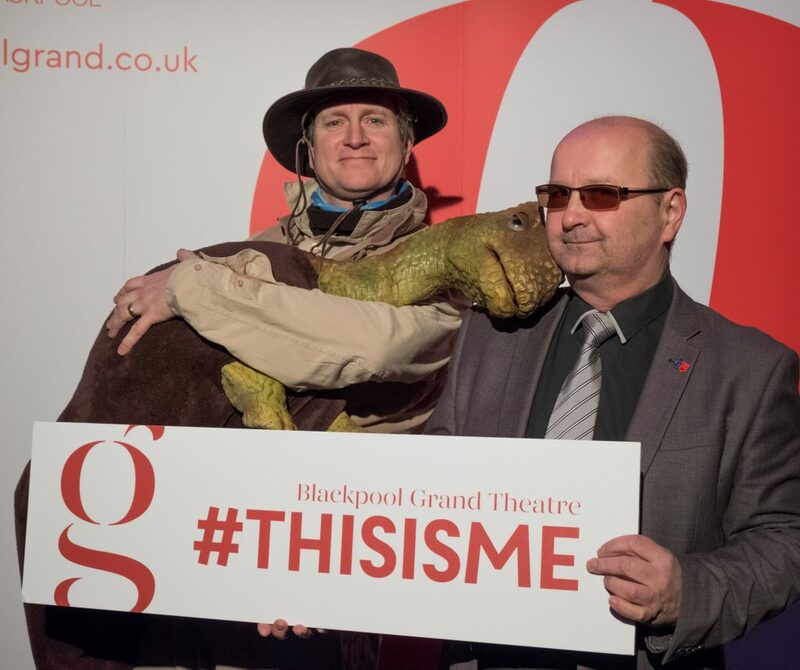 The Grand is treating Blackpool to some fantastic musicals, dance, drama and comedy this season- there is just SO much I want to go and see. 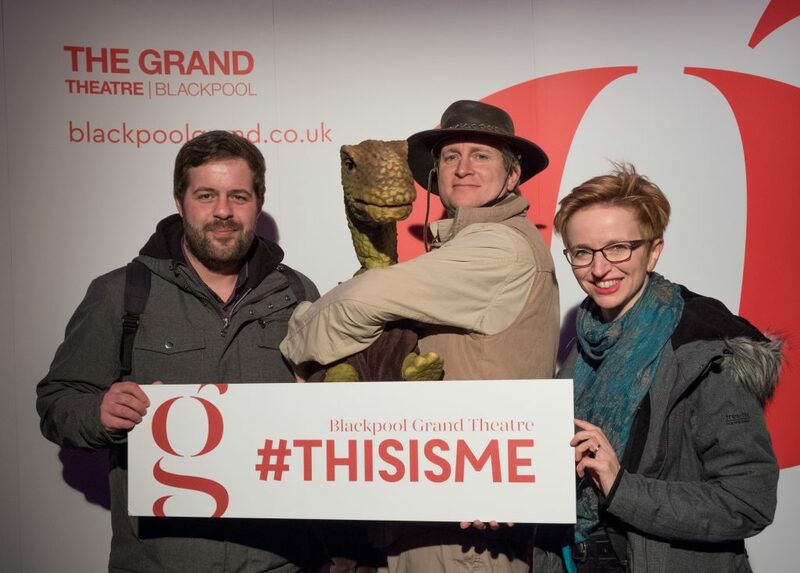 My love for the theatre is supported by the ticketing scheme available for us 18-26-year olds. 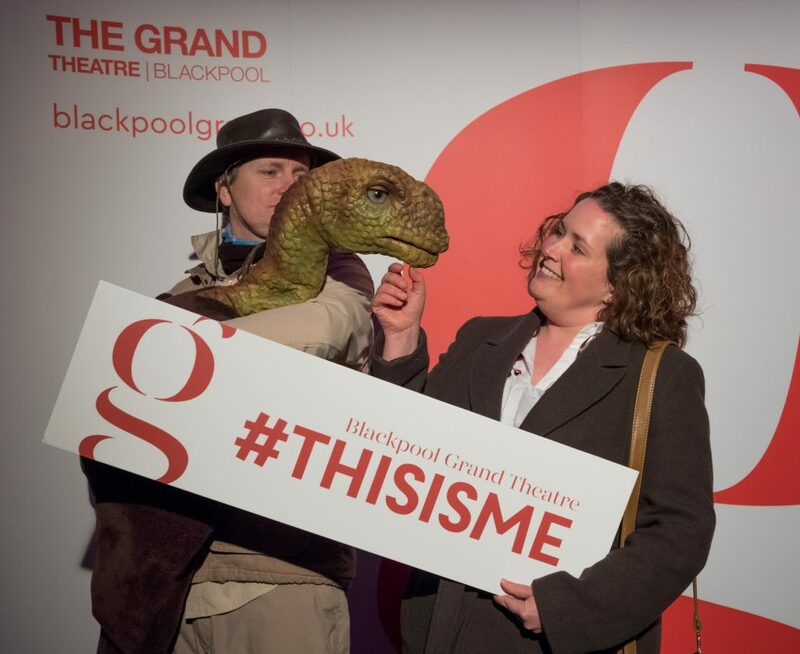 This allows the first 50 people, aged 18 to 26, access to cheaper tickets with great seats available for just £12.50! 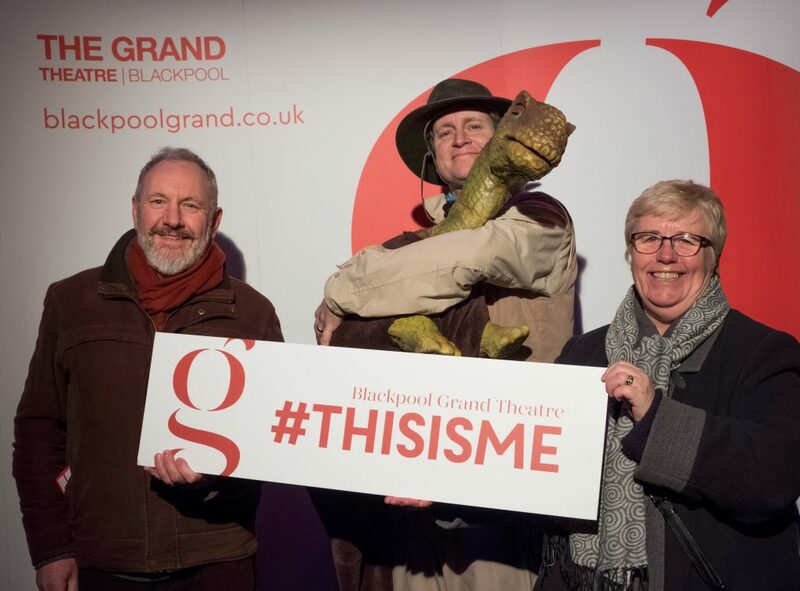 So, whether you’re already a lover of The Grand’s fantastic shows or are new to the theatre, I urge you to take advantage of this brilliant scheme and book a show now. 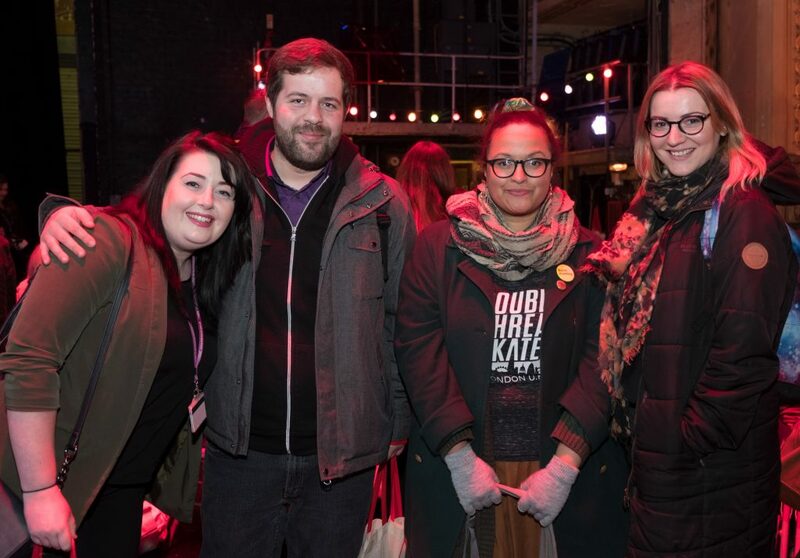 I was one of the first 50 who bagged myself and four friends discounted tickets to go and see Legally Blonde. 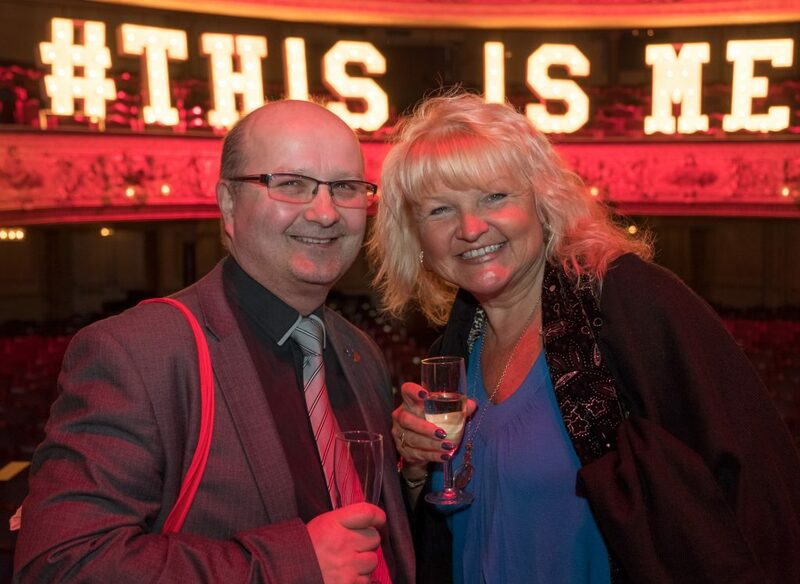 Although it does have some tough competitors including 20th Century Boy and Son of a Preacher Man, for me, Legally Blonde is the top musical must see this season. 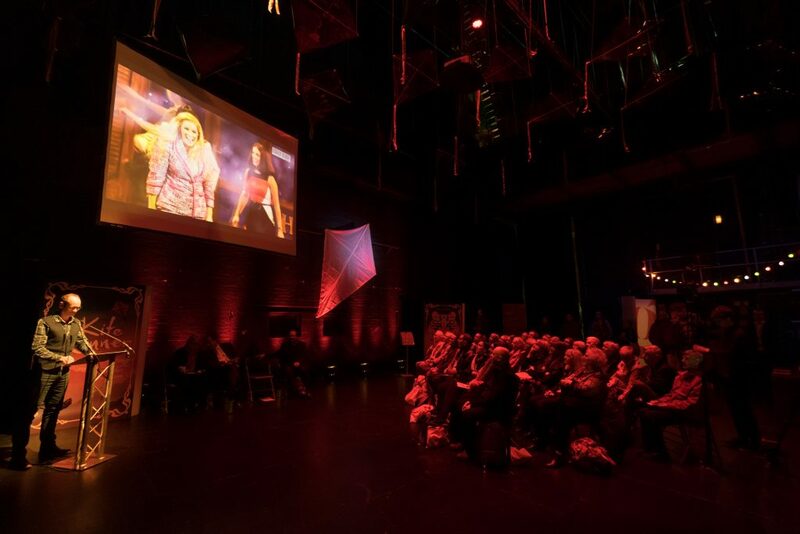 The smash hit stars UK’s Eurovision contestant Lucie Jones as the iconic Elle Woods and Rita Simons as the hilarious Paulette Bonafonte. 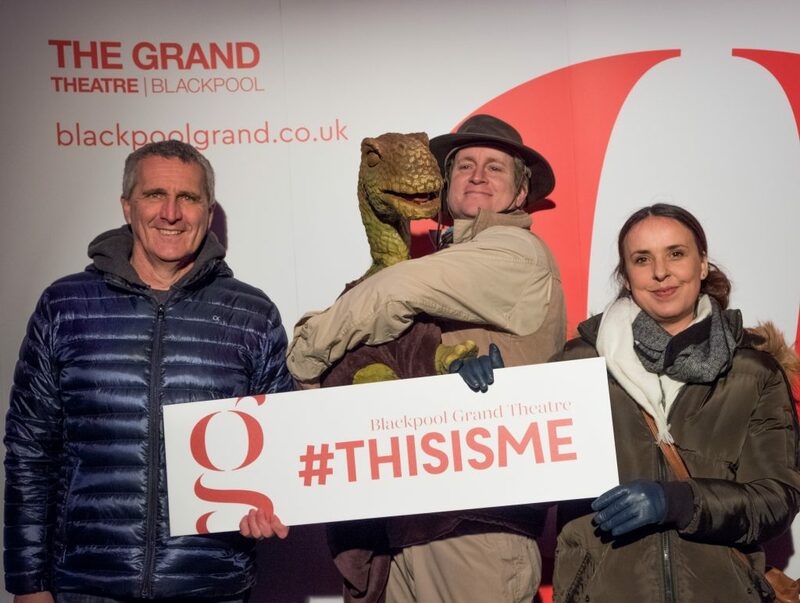 It is safe to say that due to the talented cast and my love of the Reese Witherspoon film, I was already excited for this show. 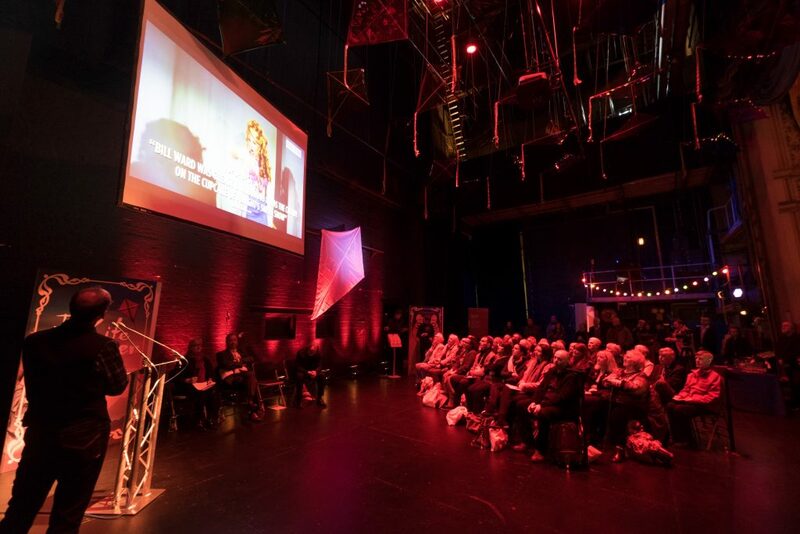 Now, after watching the trailer and hearing from Steve Royle on behalf of Martin Dodd at the launch, I am counting down the days until I get to see Elle Woods shut down stereotypes and teach us all the bend and snap. 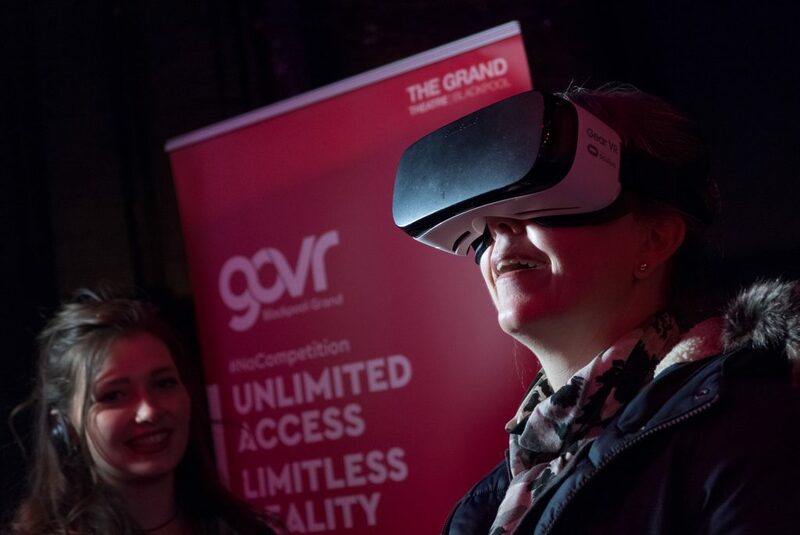 With discounted tickets for 18-26 year olds there is no reason you should miss out on this “fun-filled, feel-good pink fest”. 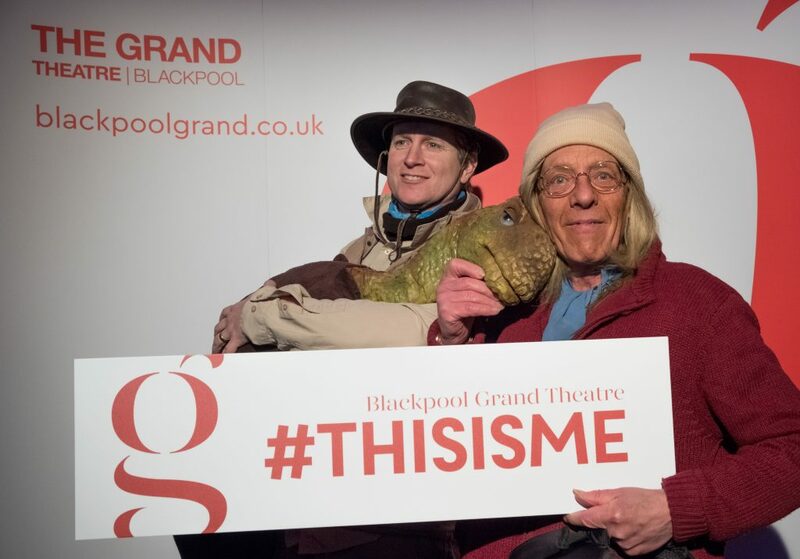 One thing that we can always expect from The Grand is variety and another entirely different show on my to-watch list is the classic story of Dr Jekyll and Mr Hyde. 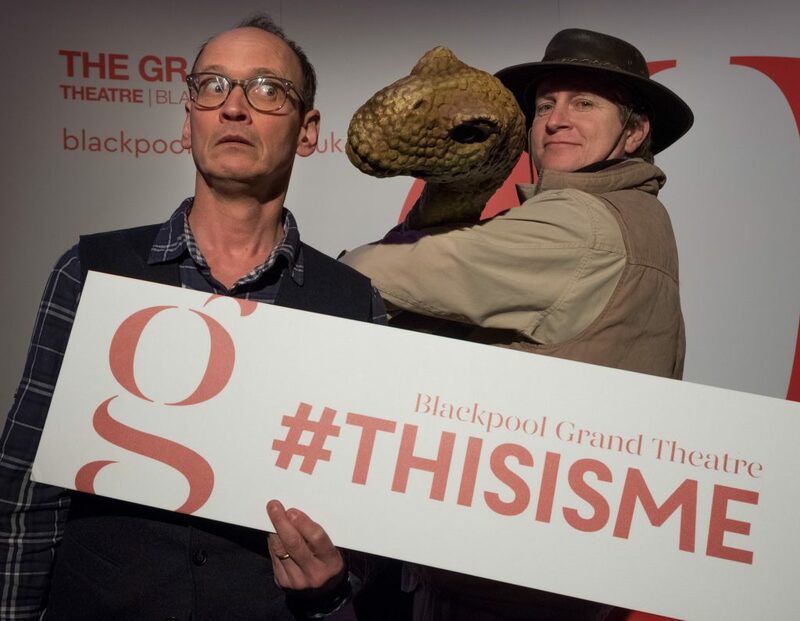 It arrives at the theatre on the 27 March. 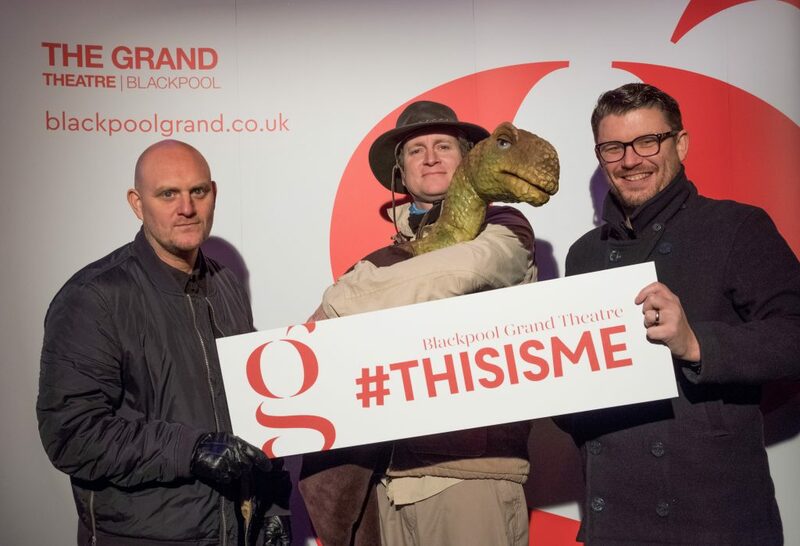 The show is described as “a twisted tale of nerve-jangling horror”. 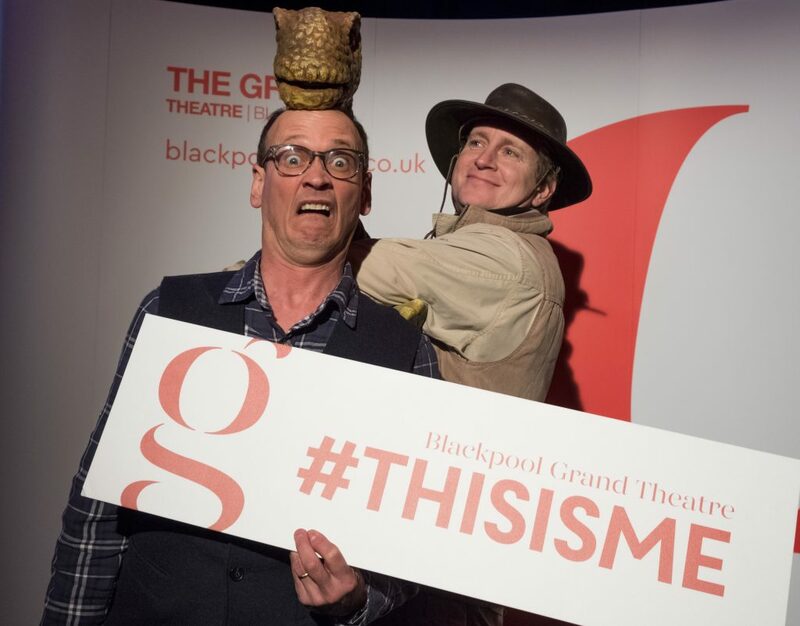 This is one for lovers of classic tales and gripping performances. 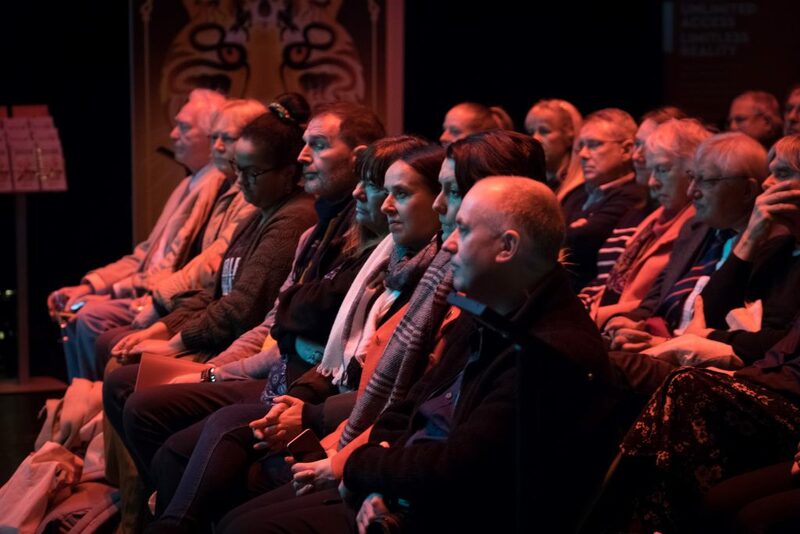 One for English students, dance enthusiasts and theatre lovers alike is Mark Bruce Company’s dance adaptation of Shakespeare’s Macbeth, “a tragic descent into the darkest sides of ourselves. 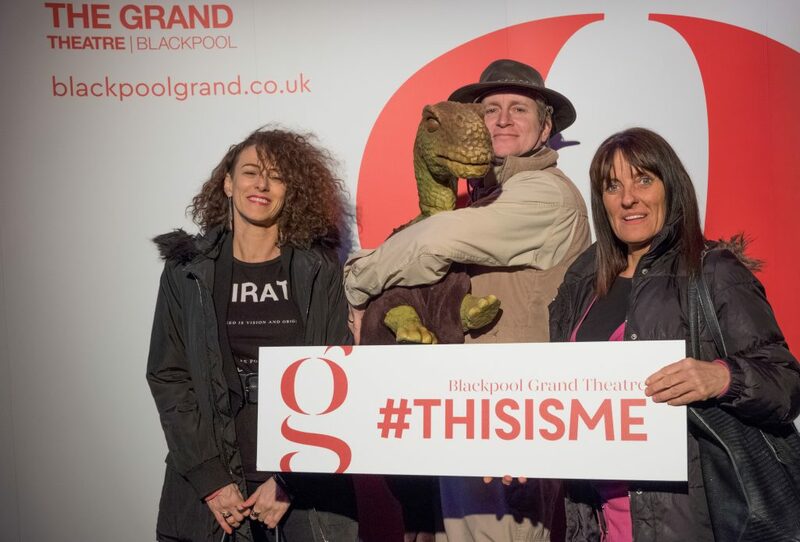 This dance theatre production realises a beautifully harrowing vision of an internal wasteland formed from the pursuit of power through ruthless means”. 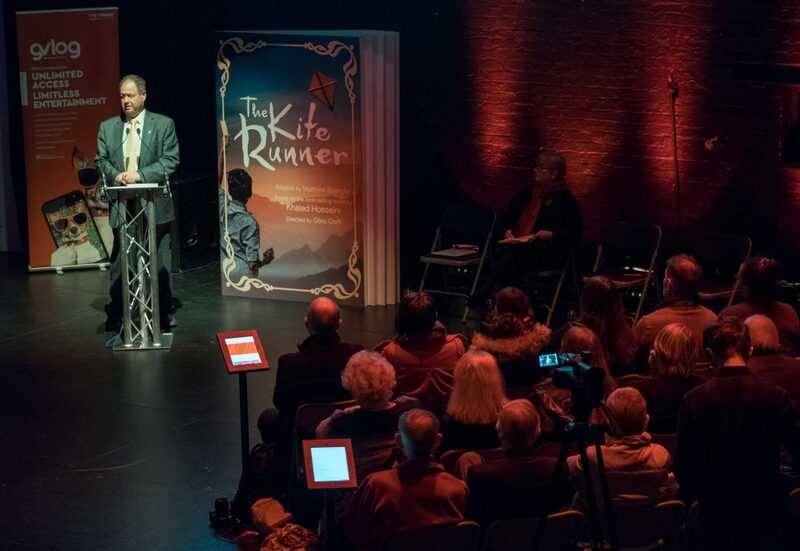 If it’s powerful drama you’re after then The Kite Runner is the one for you. 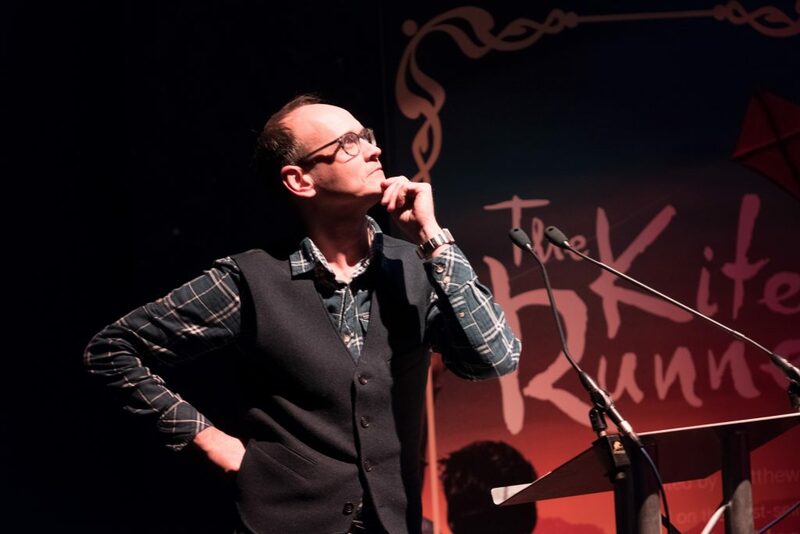 Following an outstanding West End Run, The Kite Runner comes to Blackpool’s Grand Theatre May 2018. 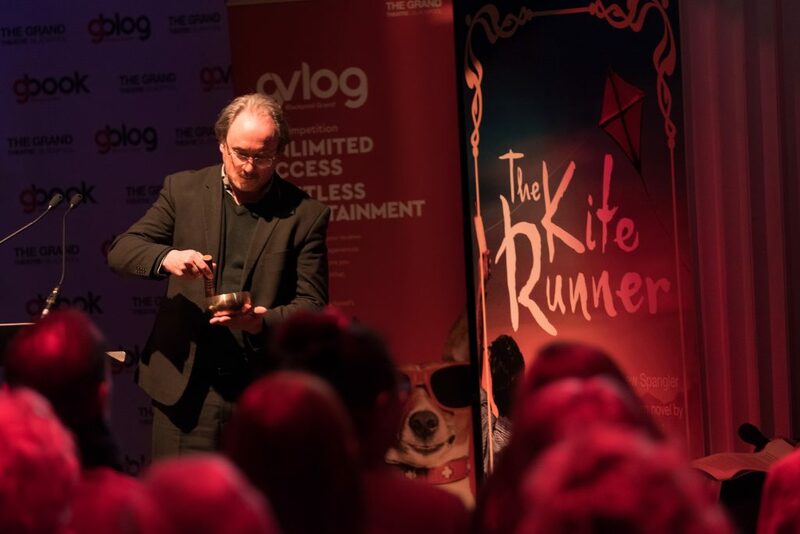 Based on a bestselling novel, it is a haunting tale of friendship, which spans cultures and continents, follows one man’s journey to confront his past and find redemption. 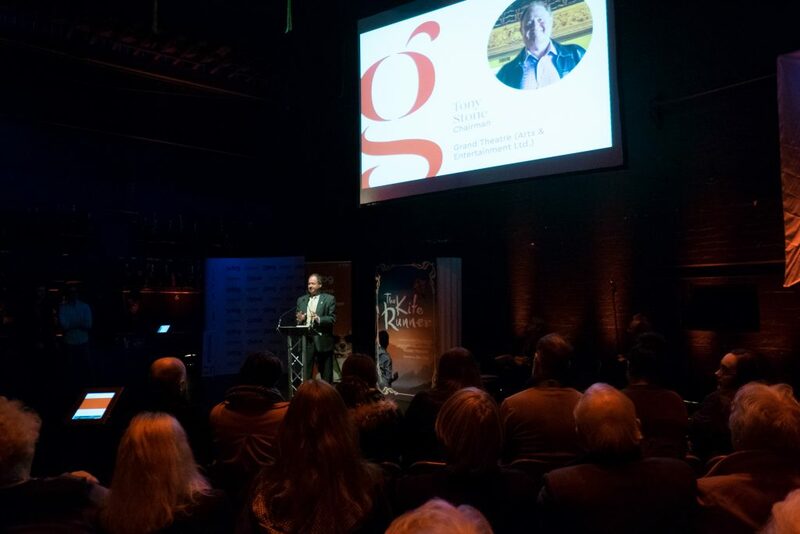 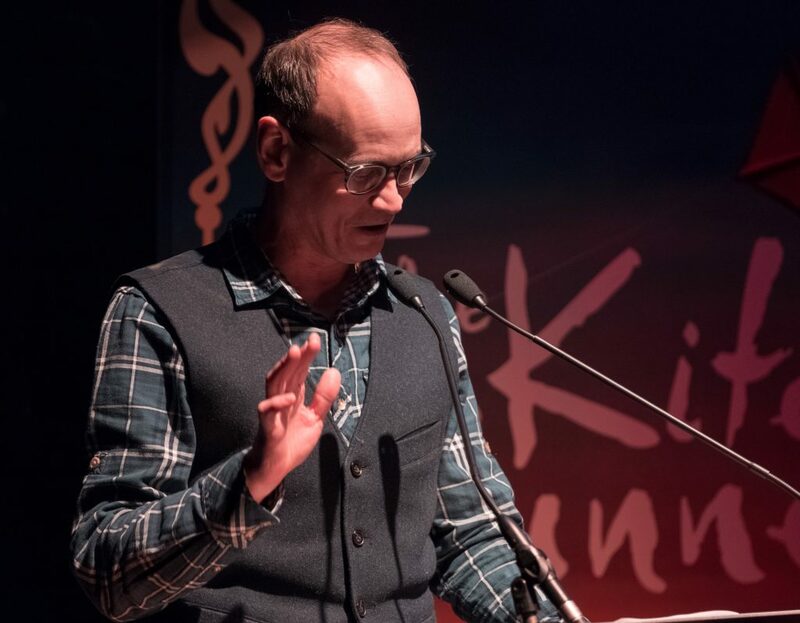 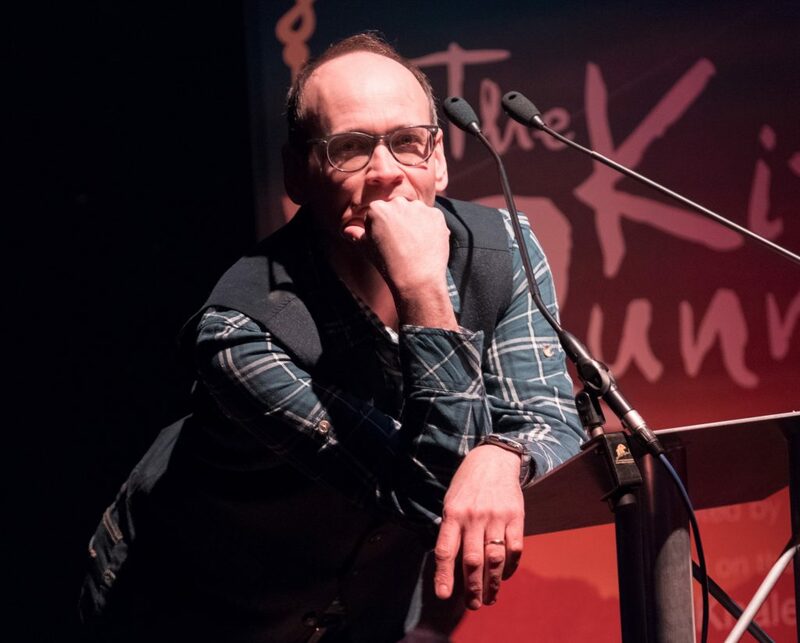 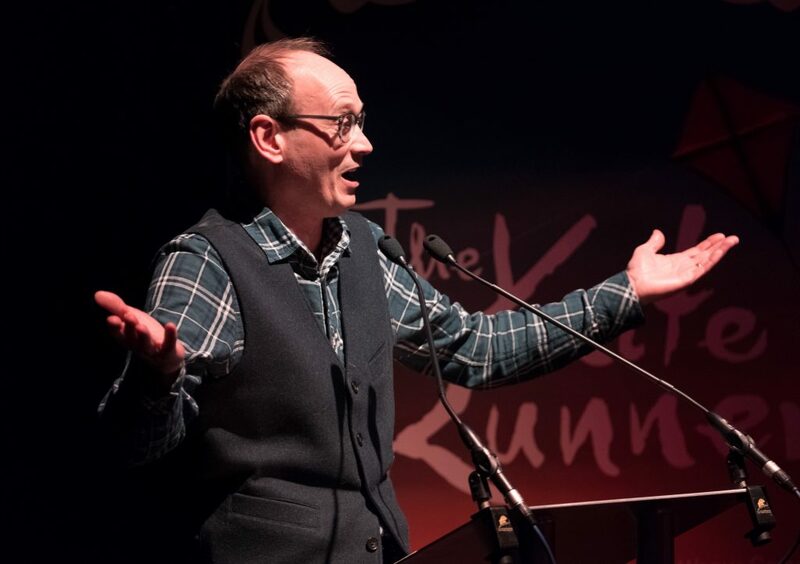 Giles Croft, the director of the show, addressed guests at the brochure launch. 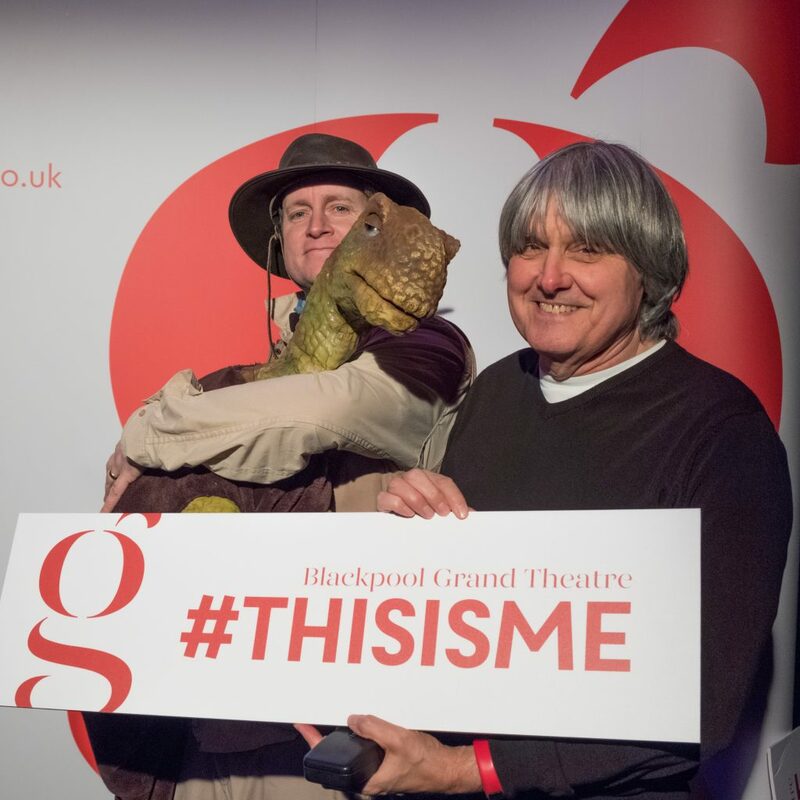 He described the show as something that will “move you, engage you, inform you, surprise you and make you cry”. 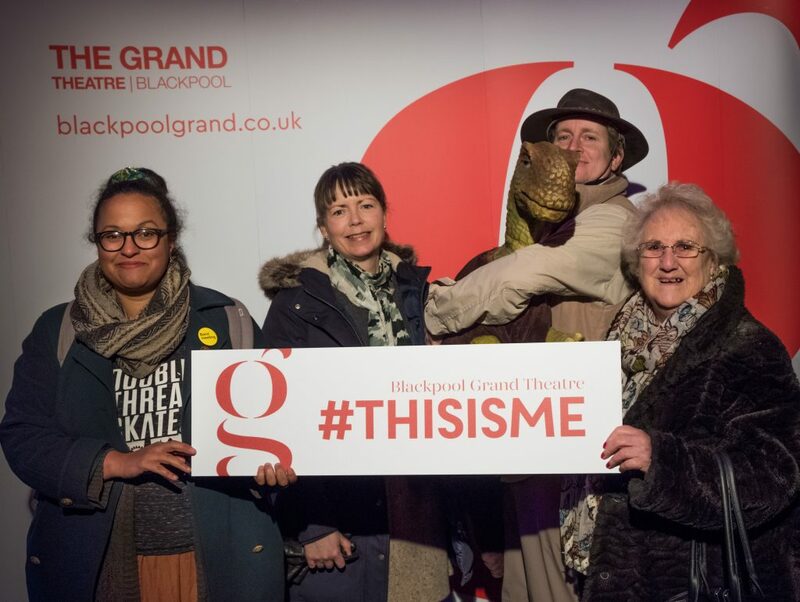 I went home and immediately booked my tickets, I suggest you do the same so you don’t miss out on this moving production. 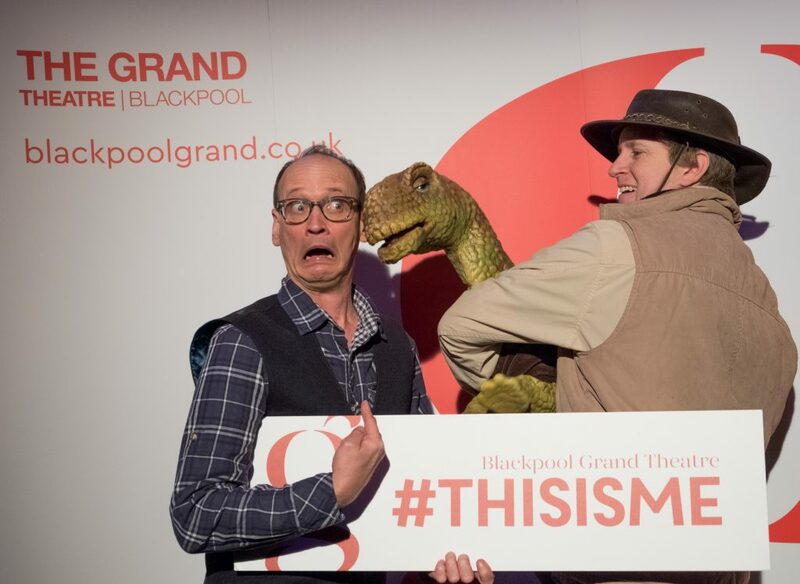 This is just a snippet of my personal favourites this new season, but there is so much more coming to the theatre including comedians and fun-filled family shows. 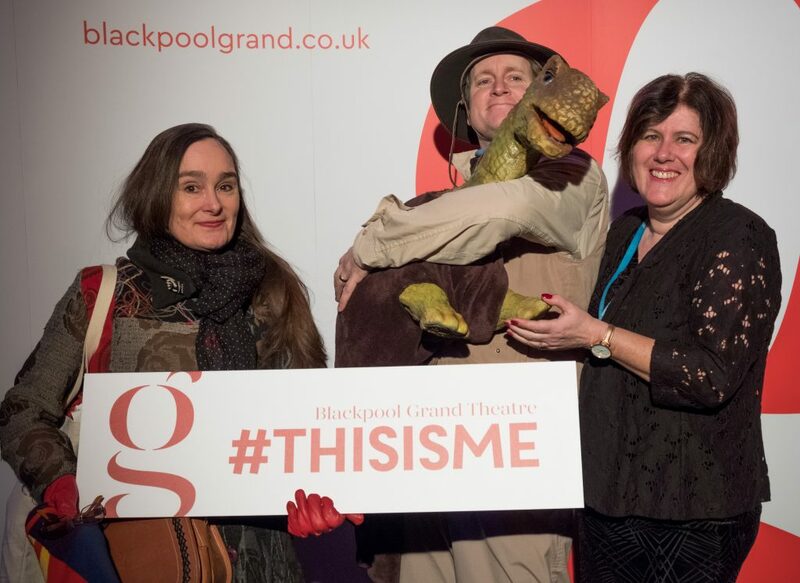 After a fantastic launch event, I cannot wait to be back in stalls watching gripping drama and mesmerising musicals.